Celebrado en Aranjuez, el 21 de junio del 2014. 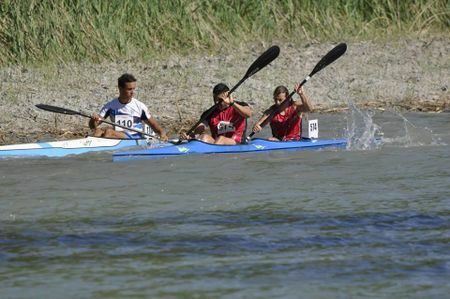 EL EQUIPO DEL CLUB ESCUELA DE PIRAGÜISMO ARANJUEZ EN EL XLII RAPHEL NACIONAL DEL TAJO Y II CAMPEONATO DE ESPAÑA DE RIOS Y TRAVESIAS CELEBRADO EN ARANJUEZ EL 21 DE JUNIO DEL 2014, CON EL PRESIDENTE DE LA FEDERACION MADRILEÑA DE PIRAGÜISMO D. JUAN JOSÉ DE LEÓN MADUEÑO Y LOS CONCEJALES DEL AYUNTAMIENTO DE ARANJUEZ D. JOSÉ NUÑEZ MANRIQUE Y Dª CRISTINA MORENO MORENO. LLORENS LOPEZ MIGUEL PEREZ BLANCO LUIS AMADO SOCIEDAD CULTURAL Y DEPORTIVA RIBADESELLA 1º, DEL TESO LUELMO ANDRES DEL TESO LUELMO CARLOS CLUB DEPORTIVO DURIUS TECOZAM-VIAJES SANABRIA 2º Y PEREZ GARCIA GUILLERMO SANCHEZ MENENDEZ ALBERTO CLUB LOS CUERVOS LINPAC 3º EN LA CATEGORIA HOMBRE SENIOR K-2 DELXLII RAPHEL NACIONAL DEL TAJO Y EN EL II CAMPEONATO DE ESPAÑA DE RIOS Y TRAVESIAS CELEBRADO EN ARANJUEZ EL 21 DE JUNIO DEL 2014. 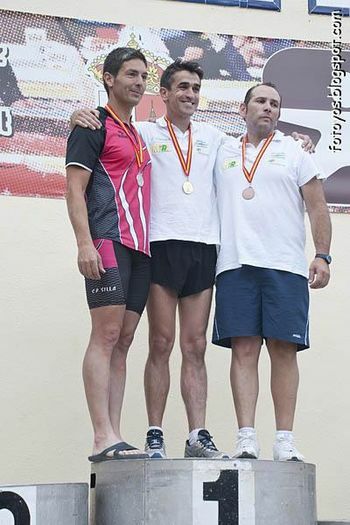 LLORENS LOPEZ MIGUEL PEREZ BLANCO LUIS AMADO SOCIEDAD CULTURAL Y DEPORTIVA RIBADESELLA 1º EN LA CATEGORIA HOMBRE SENIOR K-2 DEL XLII RAPHEL NACIONAL DEL TAJO Y II CAMPEONATO DE ESPAÑA DE RIOS Y TRAVESIAS CELEBRADO EN ARANJUEZ EL 21 DE JUNIO DEL 2014. 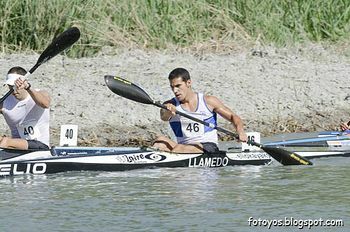 DEL TESO LUELMO ANDRES DEL TESO LUELMO CARLOS CLUB DEPORTIVO DURIUS TECOZAM-VIAJES SANABRIA 2º EN LA CATEGORIA HOMBRE SENIOR K-2 DEL XLII RAPHEL NACIONAL DEL TAJO Y II CAMPEONATO DE ESPAÑA DE RIOS Y TRAVESIAS CELEBRADO EN ARANJUEZ EL 21 DE JUNIO DEL 2014. 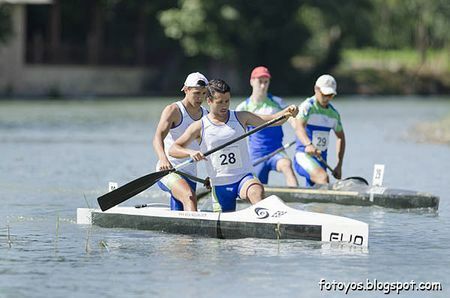 PEREZ GARCIA GUILLERMO SANCHEZ MENENDEZ ALBERTO CLUB LOS CUERVOS LINPAC 3º EN LA CATEGORIA HOMBRE SENIOR K-2 DEL XLII RAPHEL NACIONAL DEL TAJOY II CAMPEONATO DE ESPAÑA DE RIOS Y TRAVESIASCELEBRADO EN ARANJUEZ EL 21 DE JUNIO DEL 2014. 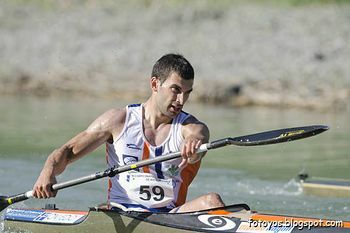 LOPEZ COBOS MARCOS Y SAAVEDRA BONET SAMUEL CLUB ESCUELA PIRAGÜISMO ARANJUEZ 1º, GARCIA DA SILVA ENEKO LERSUNDI JIMENEZ ASIER CLUB DONOSTIA KAYAK K.E. 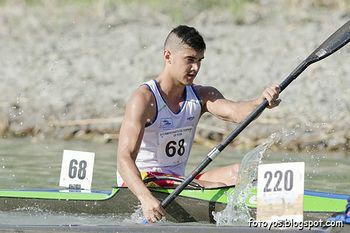 2º Y SAYAR GARCIA OIHAN MORENO BENITO JON CLUB SOCIEDAD DEPORTIVA SANTIAGOTARRAK 3º EN LA CATEGORIA HOMBRE JUNIOR K-2 DEL XLII RAPHEL NACIONAL DEL TAJO Y II CAMPEONATO DE ESPAÑA DE RIOS Y TRAVESIAS CELEBRADO EN ARANJUEZ EL 21 DE JUNIO DEL 2014. 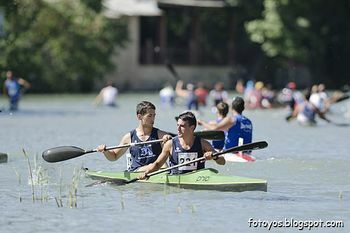 LOPEZ COBOS MARCOS Y SAAVEDRA BONET SAMUEL CLUB ESCUELA PIRAGÜISMO ARANJUEZ 1º EN LA CATEGORIA HOMBRE JUNIOR K-2 DEL XLII RAPHEL NACIONAL DEL TAJO Y II CAMPEONATO DE ESPAÑA DE RIOS Y TRAVESIAS CELEBRADO EN ARANJUEZ EL 21 DE JUNIO DEL 2014. 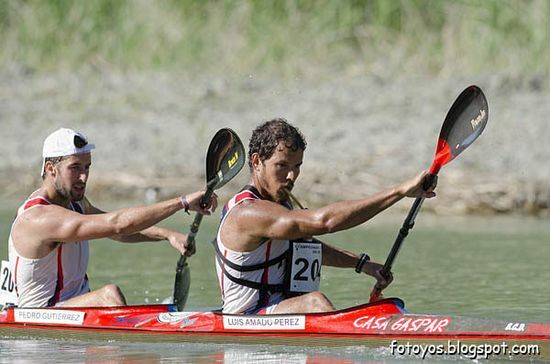 GARCIA DA SILVA ENEKO LERSUNDI JIMENEZ ASIER CLUB DONOSTIA KAYAK K.E. 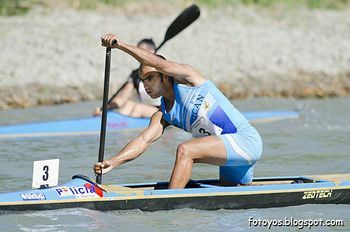 2º EN LA CATEGORIA HOMBRE JUNIOR K-2 DEL XLII RAPHEL NACIONAL DEL TAJO Y II CAMPEONATO DE ESPAÑA DE RIOS Y TRAVESIASCELEBRADO EN ARANJUEZ EL 21 DE JUNIO DEL 2014. 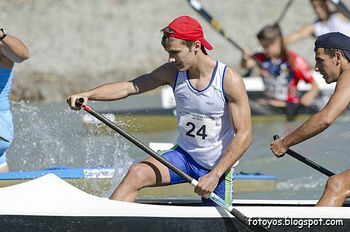 SAYAR GARCIA OIHAN MORENO BENITO JON CLUB SOCIEDAD DEPORTIVA SANTIAGOTARRAK 3º EN LA CATEGORIA HOMBRE JUNIOR K-2 DEL XLII RAPHEL NACIONAL DEL TAJO Y II CAMPEONATO DE ESPAÑA DE RIOS Y TRAVESIAS CELEBRADO EN ARANJUEZ EL 21 DE JUNIO DEL 2014. RODRIGUEZ DORADO DAVID CLUB ESCUELA PIRAGÜISMO ARANJUEZ 1º, ESTOMBA NIETO BORJA CD OVIEDO-KAYAK 2º Y LOPEZ GONZALEZ JAVIER CLUB DE MAR DE AVILES 3º EN LA CATEGORIA HOMBRE SENIOR K-1 DELXLII RAPHEL NACIONAL DEL TAJO Y II CAMPEONATO DE ESPAÑA DE RIOS Y TRAVESIAS CELEBRADO EN ARANJUEZ EL 21 DE JUNIO DEL 2014. RODRIGUEZ DORADO DAVID CLUB ESCUELA PIRAGÜISMO ARANJUEZ 1º EN LA CATEGORIA HOMBRE SENIOR K-1 DEL XLII RAPHEL NACIONAL DEL TAJO Y II CAMPEONATO DE ESPAÑA DE RIOS Y TRAVESIAS CELEBRADO EN ARANJUEZ EL 21 DE JUNIO DEL 2014. 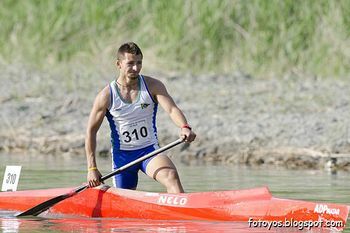 ESTOMBA NIETO BORJA CD OVIEDO-KAYAK 2º EN LA CATEGORIA HOMBRE SENIOR K-1 DEL XLII RAPHEL NACIONAL DEL TAJO Y II CAMPEONATO DE ESPAÑA DE RIOS Y TRAVESIAS CELEBRADO EN ARANJUEZ EL 21 DE JUNIO DEL 2014. 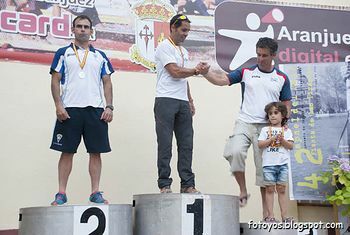 LOPEZ GONZALEZ JAVIER CLUB DE MAR DE AVILES 3º EN LA CATEGORIA HOMBRE SENIOR K-1 DEL XLII RAPHEL NACIONAL DEL TAJO Y II CAMPEONATO DE ESPAÑA DE RIOS Y TRAVESIAS CELEBRADO EN ARANJUEZ EL 21 DE JUNIO DEL 2014. RODRIGUEZ RODRIGUEZ JORGE CLUB ESCUELA PIRAGÜISMO ARANJUEZ 17º EN LA CATEGORIA HOMBRE SENIOR K-1 DEL XLII RAPHEL NACIONAL DEL TAJO Y II CAMPEONATO DE ESPAÑA DE RIOS Y TRAVESIASCELEBRADO EN ARANJUEZ EL 21 DE JUNIO DEL 2014. VEGA DELGADO ABRAHAM CLUB ESCUELA PIRAGÜISMO ARANJUEZ 22º EN LA CATEGORIA HOMBRE SENIOR K-1 DELXLII RAPHEL NACIONAL DEL TAJO Y II CAMPEONATO DE ESPAÑA DE RIOS Y TRAVESIAS CELEBRADO EN ARANJUEZ EL 21 DE JUNIO DEL 2014. 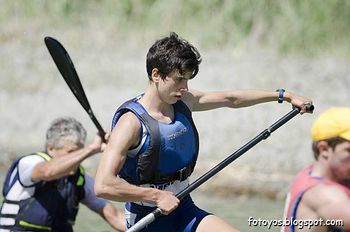 MARTIN TORRES ADRIAN CLUB ESCUELA PIRAGÜISMO ARANJUEZ 1º , CARBALLO MOREDA ION CLUB DONOSTIA KAYAK K.E. 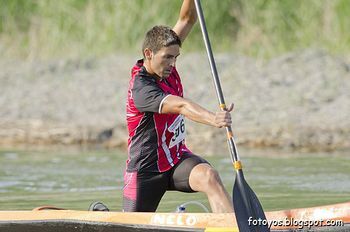 2º Y MARTIN VIZCAINO DAVID CLUB ESCUELA PIRAGÜISMO ARANJUEZ 3º EN LA CATEGORIA HOMBRE SUB-23 K-1 DEL XLII RAPHEL NACIONAL DEL TAJO Y II CAMPEONATO DE ESPAÑA DE RIOS Y TRAVESIASCELEBRADO EN ARANJUEZ EL 21 DE JUNIO DEL 2014. 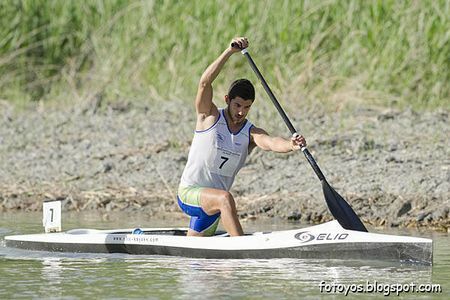 MARTIN TORRES ADRIAN CLUB ESCUELA PIRAGÜISMO ARANJUEZ 1º EN LA CATEGORIA HOMBRE SUB-23 K-1 DEL XLII RAPHEL NACIONAL DEL TAJO YII CAMPEONATO DE ESPAÑA DE RIOS Y TRAVESIAS CELEBRADO EN ARANJUEZ EL 21 DE JUNIO DEL 2014. 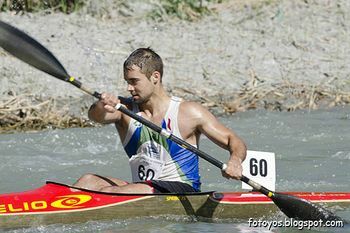 CARBALLO MOREDA ION CLUB DONOSTIA KAYAK K.E. 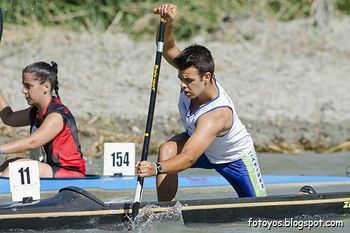 2º EN LA CATEGORIA HOMBRE SUB-23 K-1 DEL XLII RAPHEL NACIONAL DEL TAJO Y II CAMPEONATO DE ESPAÑA DE RIOS Y TRAVESIAS CELEBRADO EN ARANJUEZ EL 21 DE JUNIO DEL 2014. 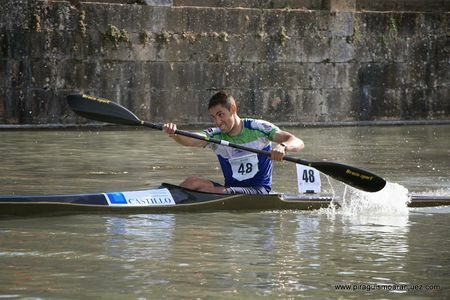 MARTIN VIZCAINO DAVID CLUB ESCUELA PIRAGÜISMO ARANJUEZ 3º EN LA CATEGORIA HOMBRE SUB-23 K-1 DELXLII RAPHEL NACIONAL DEL TAJO Y II CAMPEONATO DE ESPAÑA DE RIOS Y TRAVESIAS CELEBRADO EN ARANJUEZ EL 21 DE JUNIO DEL 2014. 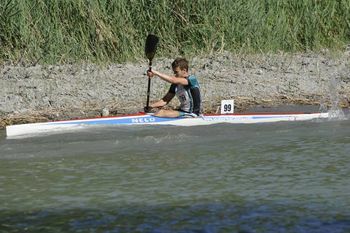 NEIRA FIGINI JULIAN ALBERCHE KAYAK CLUB 1º, TOLEDO ESPINILLA PABLO CLUB PIRAGÜISMO CUENCA CON CARACTER 2º Y NOVAL CUETO JAIME CLUB KAYAK SIERO 3º EN LA CATEGORIA HOMBRE JUNIOR K-1 DEL XLII RAPHEL NACIONAL DEL TAJO Y II CAMPEONATO DE ESPAÑA DE RIOS Y TRAVESIAS CELEBRADO EN ARANJUEZ EL 21 DE JUNIO DEL 2014. 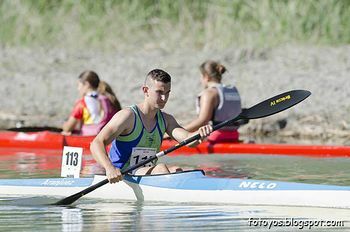 NEIRA FIGINI JULIAN ALBERCHE KAYAK CLUB 1º EN LA CATEGORIA HOMBRE JUNIOR K-1 DEL XLII RAPHEL NACIONAL DEL TAJO Y II CAMPEONATO DE ESPAÑA DE RIOS Y TRAVESIAS CELEBRADO EN ARANJUEZ EL 21 DE JUNIO DEL 2014. TOLEDO ESPINILLA PABLO CLUB PIRAGÜISMO CUENCA CON CARACTER 2º EN LA CATEGORIA HOMBRE JUNIOR K-1 DEL XLII RAPHEL NACIONAL DEL TAJO Y II CAMPEONATO DE ESPAÑA DE RIOS Y TRAVESIAS CELEBRADO EN ARANJUEZ EL 21 DE JUNIO DEL 2014. 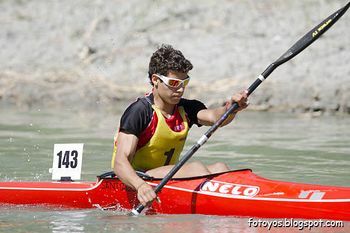 NOVAL CUETO JAIME CLUB KAYAK SIERO 3º EN LA CATEGORIA HOMBRE JUNIOR K-1 DEL XLII RAPHEL NACIONAL DEL TAJO Y II CAMPEONATO DE ESPAÑA DE RIOS Y TRAVESIAS CELEBRADO EN ARANJUEZ EL 21 DE JUNIO DEL 2014 . SUAREZ MUÑOZ JOSE CLUB ESCUELA PIRAGÜISMO ARANJUEZ 8º EN LA CATEGORIA HOMBRE JUNIOR K-1 DELXLII RAPHEL NACIONAL DEL TAJO Y II CAMPEONATO DE ESPAÑA DE RIOS Y TRAVESIAS CELEBRADO EN ARANJUEZ EL 21 DE JUNIO DEL 2014. GARCIA DIAZ ANGEL CLUB ESCUELA PIRAGÜISMO ARANJUEZ 12º EN LA CATEGORIA HOMBRE JUNIOR K-1 DELXLII RAPHEL NACIONAL DEL TAJO Y II CAMPEONATO DE ESPAÑA DE RIOS Y TRAVESIAS CELEBRADO EN ARANJUEZ EL 21 DE JUNIO DEL 2014. RODRIGUEZ BONET BORJA CLUB ESCUELA PIRAGÜISMO ARANJUEZ EN LA CATEGORIA HOMBRE JUNIOR K-1 DEL XLII RAPHEL NACIONAL DEL TAJO Y II CAMPEONATO DE ESPAÑA DE RIOS Y TRAVESIAS CELEBRADO EN ARANJUEZ EL 21 DE JUNIO DEL 2014. OSABA OLABERRI AMAIA CLUB PIRAGÜISMO PAMPLONA 1ª, SAEZ BARRIOS SHEILA CLUB CANOE DE VALLADOLID 2ª Y TEJADA SALGADO YANET CLUB ESCUELA PIRAGÜISMO ARANJUEZ 3ª EN LA CATEGORIA MUJER SENIOR K-1 DELXLII RAPHEL NACIONAL DEL TAJO Y II CAMPEONATO DE ESPAÑA DE RIOS Y TRAVESIAS CELEBRADO EN ARANJUEZ EL 21 DE JUNIO DEL 2014. OSABA OLABERRI AMAIA CLUB PIRAGÜISMO PAMPLONA 1ª EN LA CATEGORIA MUJER SENIOR K-1 DEL XLII RAPHEL NACIONAL DEL TAJO Y II CAMPEONATO DE ESPAÑA DE RIOS Y TRAVESIAS CELEBRADO EN ARANJUEZ EL 21 DE JUNIO DEL 2014. 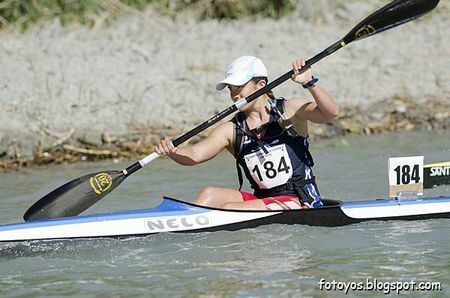 SAEZ BARRIOS SHEILA CLUB CANOE DE VALLADOLID 2ª EN LA CATEGORIA MUJER SENIOR K-1 DEL XLII RAPHEL NACIONAL DEL TAJO Y II CAMPEONATO DE ESPAÑA DE RIOS Y TRAVESIAS CELEBRADO EN ARANJUEZ EL 21 DE JUNIO DEL 2014. TEJADA SALGADO YANET CLUB ESCUELA PIRAGÜISMO ARANJUEZ 3ª EN LA CATEGORIA MUJER SENIOR K-1 DELXLII RAPHEL NACIONAL DEL TAJO Y II CAMPEONATO DE ESPAÑA DE RIOS Y TRAVESIAS CELEBRADO EN ARANJUEZ EL 21 DE JUNIO DEL 2014. 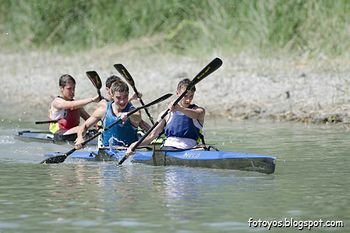 BENAVENTE BABACE AMAIA CLUB DONOSTIA KAYAK K.E. 1ª, MASSAGUES JULIAN CAROLINA CLUB DEPORTIVO BÁSICO CANAL GETAFE MADRID 2ª Y ZABALA DOMINGUEZ OLATZ CLUB SOCIEDAD DEPORTIVA SANTIAGOTARRAK 3ª EN LA CATEGORIA MUJER SUB-23 K-1 DEL XLII RAPHEL NACIONAL DEL TAJO Y II CAMPEONATO DE ESPAÑA DE RIOS Y TRAVESIAS CELEBRADO EN ARANJUEZ EL 21 DE JUNIO DEL 2014. 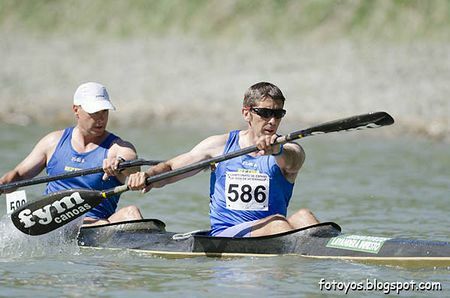 BENAVENTE BABACE AMAIA CLUB DONOSTIA KAYAK K.E. 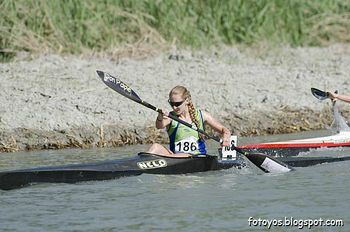 1ª EN LA CATEGORIA MUJER SUB-23 K-1 DEL XLII RAPHEL NACIONAL DEL TAJO Y II CAMPEONATO DE ESPAÑA DE RIOS Y TRAVESIAS CELEBRADO EN ARANJUEZ EL 21 DE JUNIO DEL 2014. 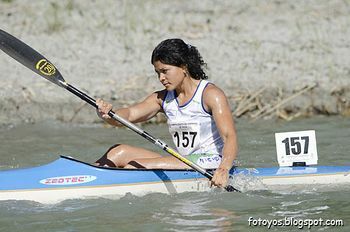 MASSAGUES JULIAN CAROLINA CLUB DEPORTIVO BÁSICO CANAL GETAFE MADRID 2ª EN LA CATEGORIA MUJER SUB-23 K-1 DEL XLII RAPHEL NACIONAL DEL TAJO YII CAMPEONATO DE ESPAÑA DE RIOS Y TRAVESIASCELEBRADO EN ARANJUEZ EL 21 DE JUNIO DEL 2014. 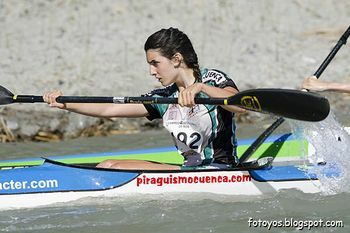 ZABALA DOMINGUEZ OLATZ CLUB SOCIEDAD DEPORTIVA SANTIAGOTARRAK 3ª EN LA CATEGORIA MUJER SUB-23 K-1 DEL XLII RAPHEL NACIONAL DEL TAJO Y II CAMPEONATO DE ESPAÑA DE RIOS Y TRAVESIASCELEBRADO EN ARANJUEZ EL 21 DE JUNIO DEL 2014. 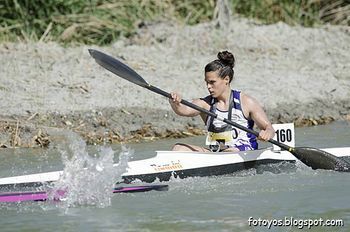 MAIRENA LOPEZ IRENE CLUB ESCUELA PIRAGÜISMO ARANJUEZ 4ª EN LA CATEGORIA MUJER SUB-23 K-1 DEL XLII RAPHEL NACIONAL DEL TAJO Y II CAMPEONATO DE ESPAÑA DE RIOS Y TRAVESIAS CELEBRADO EN ARANJUEZ EL 21 DE JUNIO DEL 2014. 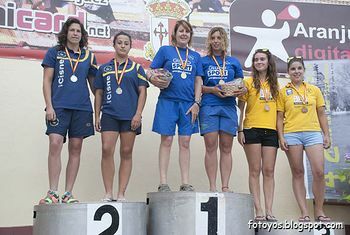 ARQUERO OLMEDO LUCIA CLUB ESCUELA PIRAGÜISMO ARANJUEZ Retirada EN LA CATEGORIA MUJER SUB-23 K-1 DEL XLII RAPHEL NACIONAL DEL TAJO Y II CAMPEONATO DE ESPAÑA DE RIOS Y TRAVESIAS CELEBRADO EN ARANJUEZ EL 21 DE JUNIO DEL 2014. 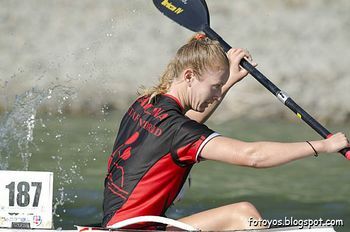 FERNANDEZ GONZALEZ ESTEFANIA CLUB POLIDEPORTIVO IUXTANAM-MONTEORO 1ª, ORBEGOZO PAREDES HAIZEA CLUB DONOSTIA KAYAK K.E. 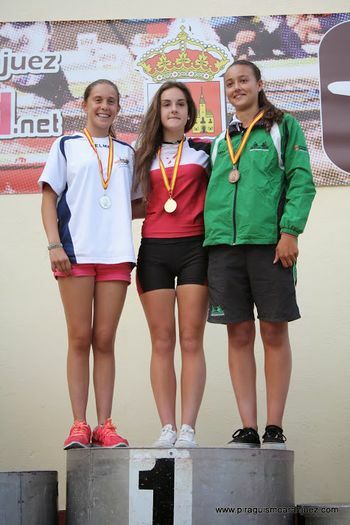 2ª Y LOPEZ PINOS ISABEL CLUB PIRAGÜISMO CUENCA CON CARACTER 3ª EN LA CATEGORIA MUJER JUNIOR K-1 DEL XLII RAPHEL NACIONAL DEL TAJO Y II CAMPEONATO DE ESPAÑA DE RIOS Y TRAVESIAS CELEBRADO EN ARANJUEZ EL 21 DE JUNIO DEL 2014. FERNANDEZ GONZALEZ ESTEFANIA CLUB POLIDEPORTIVO IUXTANAM-MONTEORO 1ª EN LA CATEGORIA MUJER JUNIOR K-1 DEL XLII RAPHEL NACIONAL DEL TAJO Y II CAMPEONATO DE ESPAÑA DE RIOS Y TRAVESIASCELEBRADO EN ARANJUEZ EL 21 DE JUNIO DEL 2014. 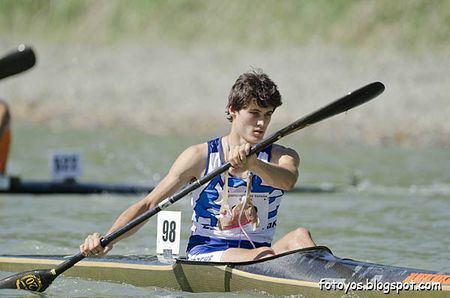 ORBEGOZO PAREDES HAIZEA CLUB DONOSTIA KAYAK K.E. 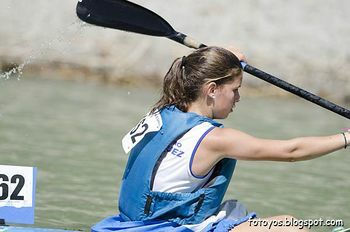 2ª EN LA CATEGORIA MUJER JUNIOR K-1 DEL XLII RAPHEL NACIONAL DEL TAJO Y II CAMPEONATO DE ESPAÑA DE RIOS Y TRAVESIAS CELEBRADO EN ARANJUEZ EL 21 DE JUNIO DEL 2014. 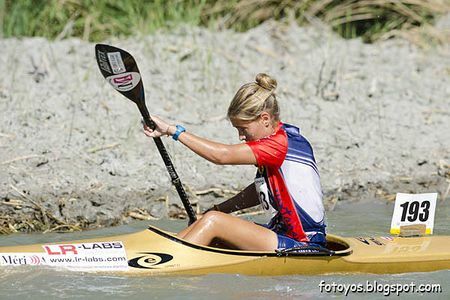 LOPEZ PINOS ISABEL CLUB PIRAGÜISMO CUENCA CON CARACTER 3ª EN LA CATEGORIA MUJER JUNIOR K-1 DELXLII RAPHEL NACIONAL DEL TAJO Y II CAMPEONATO DE ESPAÑA DE RIOS Y TRAVESIAS CELEBRADO EN ARANJUEZ EL 21 DE JUNIO DEL 2014. 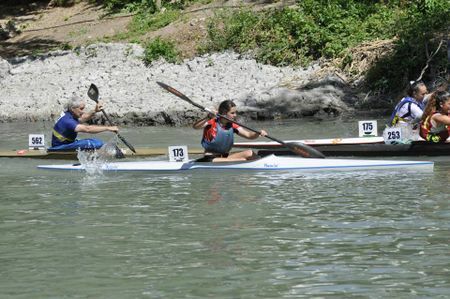 MARTIN VIZCAINO IRENE CLUB ESCUELA PIRAGÜISMO ARANJUEZ 4ª EN LA CATEGORIA MUJER JUNIOR K-1 DELXLII RAPHEL NACIONAL DEL TAJO Y II CAMPEONATO DE ESPAÑA DE RIOS Y TRAVESIAS CELEBRADO EN ARANJUEZ EL 21 DE JUNIO DEL 2014. ARROYO MARTIN BLANCA Y ROJO CAMPAZAS LUCIA CLUB ESCUELA PIRAGÜISMO ARANJUEZ 1ª, BLASCO VELASCO LAURA COCO ROHDE PATRICIA CLUB DEPORTIVO CISNE 2ª Y CARRIO GARCIA VANESA FERNANDEZ ALONSO ELENA CLUB LOS CUERVOS LINPAC 3ª EN LA CATEGORIA MUJER SENIOR K-2 DEL XLII RAPHEL NACIONAL DEL TAJO YII CAMPEONATO DE ESPAÑA DE RIOS Y TRAVESIASCELEBRADO EN ARANJUEZ EL 21 DE JUNIO DEL 2014. 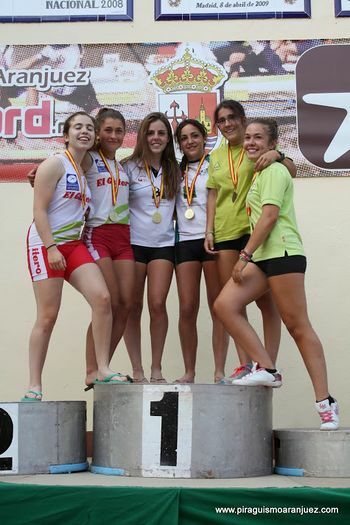 ARROYO MARTIN BLANCA Y ROJO CAMPAZAS LUCIA CLUB ESCUELA PIRAGÜISMO ARANJUEZ 1ª EN LA CATEGORIA MUJER SENIOR K-2 DEL XLII RAPHEL NACIONAL DEL TAJO Y II CAMPEONATO DE ESPAÑA DE RIOS Y TRAVESIAS CELEBRADO EN ARANJUEZ EL 21 DE JUNIO DEL 2014. 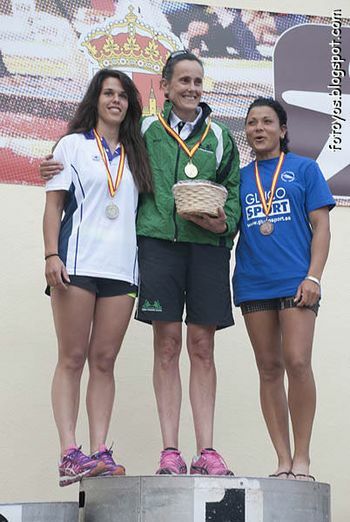 BLASCO VELASCO LAURA COCO ROHDE PATRICIA CLUB DEPORTIVO CISNE 2ª EN LA CATEGORIA MUJER SENIOR K-2 DEL XLII RAPHEL NACIONAL DEL TAJO Y II CAMPEONATO DE ESPAÑA DE RIOS Y TRAVESIAS CELEBRADO EN ARANJUEZ EL 21 DE JUNIO DEL 2014. 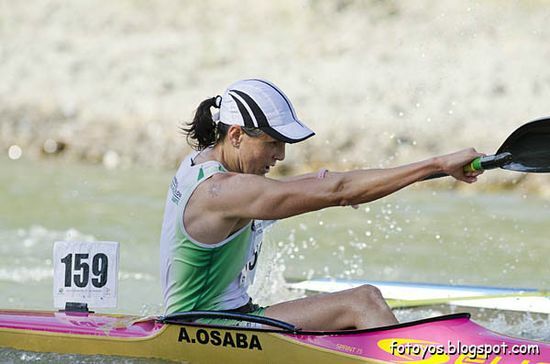 CARRIO GARCIA VANESA FERNANDEZ ALONSO ELENA CLUB LOS CUERVOS LINPAC 3ª EN LA CATEGORIA MUJER SENIOR K-2 DEL XLII RAPHEL NACIONAL DEL TAJO Y II CAMPEONATO DE ESPAÑA DE RIOS Y TRAVESIASCELEBRADO EN ARANJUEZ EL 21 DE JUNIO DEL 2014. MORALES CAMBERO CELIA MORENO BOMBARELI ESTHER CLUB POLIDEPORTIVO IUXTANAM-MONTEORO 1ª, ILUNDAIN PERURENA LOREA EDERRA ZESTAU MADDI CLUB PIRAGÜISMO PAMPLONA 2ª Y TORRES PEÑALOSA PATRICIA CHECA NEBOT BELEN CENTRO NATACION HELIOS 3ª EN LA CATEGORIA MUJER JUNIOR K-2 DEL XLII RAPHEL NACIONAL DEL TAJO Y II CAMPEONATO DE ESPAÑA DE RIOS Y TRAVESIAS CELEBRADO EN ARANJUEZ EL 21 DE JUNIO DEL 2014. MORALES CAMBERO CELIA MORENO BOMBARELI ESTHER CLUB POLIDEPORTIVO IUXTANAM-MONTEORO 1ª EN LA CATEGORIA MUJER JUNIOR K-2 DEL XLII RAPHEL NACIONAL DEL TAJO Y II CAMPEONATO DE ESPAÑA DE RIOS Y TRAVESIAS CELEBRADO EN ARANJUEZ EL 21 DE JUNIO DEL 2014. 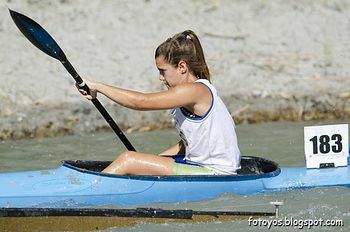 ILUNDAIN PERURENA LOREA EDERRA ZESTAU MADDI CLUB PIRAGÜISMO PAMPLONA 2ª EN LA CATEGORIA MUJER JUNIOR K-2 DEL XLII RAPHEL NACIONAL DEL TAJO Y II CAMPEONATO DE ESPAÑA DE RIOS Y TRAVESIASCELEBRADO EN ARANJUEZ EL 21 DE JUNIO DEL 2014. 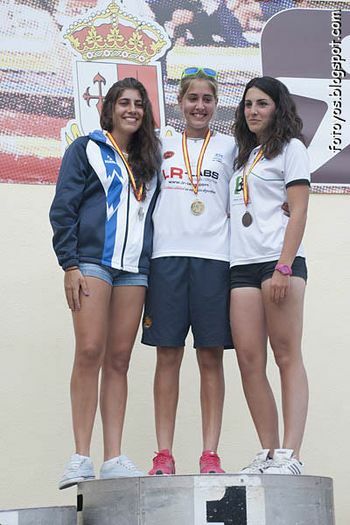 TORRES PEÑALOSA PATRICIA CHECA NEBOT BELEN CENTRO NATACION HELIOS 3ª EN LA CATEGORIA MUJER JUNIOR K-2 DEL XLII RAPHEL NACIONAL DEL TAJO Y II CAMPEONATO DE ESPAÑA DE RIOS Y TRAVESIASCELEBRADO EN ARANJUEZ EL 21 DE JUNIO DEL 2014. RODRIGUEZ RICA ALVARO CLUB MADRILEÑO CIENCIAS 1º , OSMA CULEBRAS JOSE OSCAR CLUB PIRAGÜISMO CUENCA CON CARACTER 2º Y FERNANDEZ CASTRO MIGUEL CLUB BREOGAN DO GROVE 3º EN LA CATEGORIA HOMBRE SENIOR C-1 DEL XLII RAPHEL NACIONAL DEL TAJO Y II CAMPEONATO DE ESPAÑA DE RIOS Y TRAVESIASCELEBRADO EN ARANJUEZ EL 21 DE JUNIO DEL 2014. 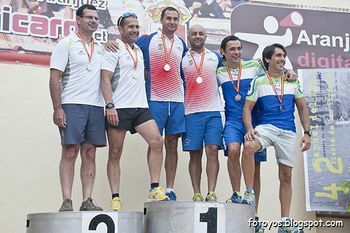 RODRIGUEZ RICA ALVARO CLUB MADRILEÑO CIENCIAS 1º EN LA CATEGORIA HOMBRE SENIOR C-1 DEL XLII RAPHEL NACIONAL DEL TAJO Y II CAMPEONATO DE ESPAÑA DE RIOS Y TRAVESIAS CELEBRADO EN ARANJUEZ EL 21 DE JUNIO DEL 2014. 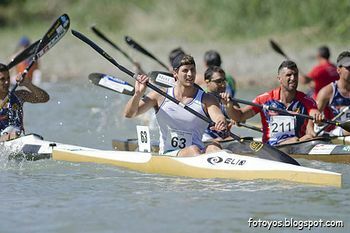 OSMA CULEBRAS JOSE OSCAR CLUB PIRAGÜISMO CUENCA CON CARACTER 2º EN LA CATEGORIA HOMBRE SENIOR C-1 DEL XLII RAPHEL NACIONAL DEL TAJO Y II CAMPEONATO DE ESPAÑA DE RIOS Y TRAVESIASCELEBRADO EN ARANJUEZ EL 21 DE JUNIO DEL 2014. 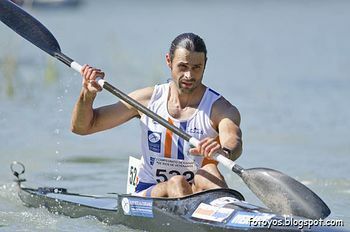 FERNANDEZ CASTRO MIGUEL CLUB BREOGAN DO GROVE 3º EN LA CATEGORIA HOMBRE SENIOR C-1 DEL XLII RAPHEL NACIONAL DEL TAJO Y II CAMPEONATO DE ESPAÑA DE RIOS Y TRAVESIAS CELEBRADO EN ARANJUEZ EL 21 DE JUNIO DEL 2014. 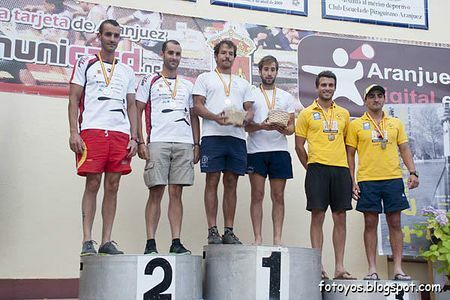 GONZALVEZ GOMEZ ADRIAN CLUB ESCUELA PIRAGÜISMO ARANJUEZ 1º, ESTEBAN ORTEGA ANGEL CLUB ESCUELA PIRAGÜISMO ARANJUEZ 2º Y PATRHAU MARIAM VICTOR CLUB NAUTICO DE SEVILLA 3º EN LA CATEGORIA HOMBRE SUB-23 C-1 DEL XLII RAPHEL NACIONAL DEL TAJOY II CAMPEONATO DE ESPAÑA DE RIOS Y TRAVESIASCELEBRADO EN ARANJUEZ EL 21 DE JUNIO DEL 2014. 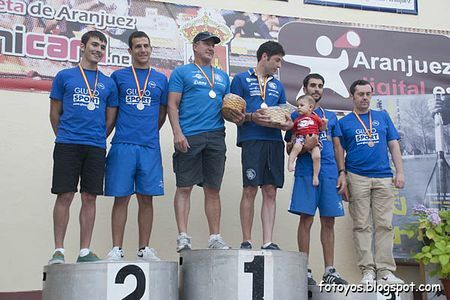 GONZALVEZ GOMEZ ADRIAN CLUB ESCUELA PIRAGÜISMO ARANJUEZ 1º EN LA CATEGORIA HOMBRE SUB-23 C-1 DEL XLII RAPHEL NACIONAL DEL TAJO Y II CAMPEONATO DE ESPAÑA DE RIOS Y TRAVESIAS CELEBRADO EN ARANJUEZ EL 21 DE JUNIO DEL 2014. 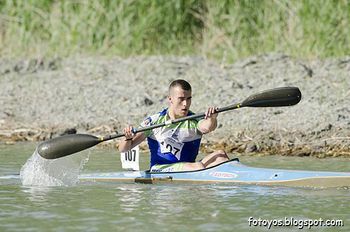 ESTEBAN ORTEGA ANGEL CLUB ESCUELA PIRAGÜISMO ARANJUEZ 2º EN LA CATEGORIA HOMBRE SUB-23 C-1 DELXLII RAPHEL NACIONAL DEL TAJO Y II CAMPEONATO DE ESPAÑA DE RIOS Y TRAVESIAS CELEBRADO EN ARANJUEZ EL 21 DE JUNIO DEL 2014. 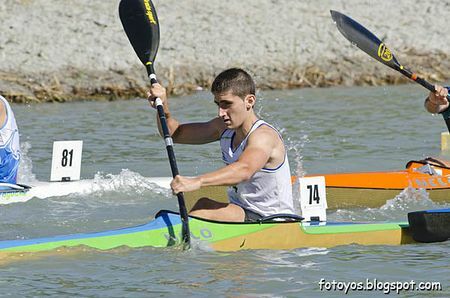 PATRHAU MARIAM VICTOR CLUB NAUTICO DE SEVILLA 3º EN LA CATEGORIA HOMBRE SUB-23 C-1 DEL XLII RAPHEL NACIONAL DEL TAJO Y II CAMPEONATO DE ESPAÑA DE RIOS Y TRAVESIAS CELEBRADO EN ARANJUEZ EL 21 DE JUNIO DEL 2014. AREAL ABREU PEDRO FERNANDEZ LAMEIRO ADRIAN CLUB BREOGAN DO GROVE 1º, PEDRERO LOZOYA HUGO ALBERTO Y URSULA LUENGO DAVID CLUB ESCUELA PIRAGÜISMO ARANJUEZ 2º Y MORA CARRASCO ALVARO Y SERRANO MARTINEZ JULIAN CLUB ESCUELA PIRAGÜISMO ARANJUEZ 3º EN LA CATEGORIA HOMBRE SENIOR C-2 DEL XLII RAPHEL NACIONAL DEL TAJO YII CAMPEONATO DE ESPAÑA DE RIOS Y TRAVESIAS CELEBRADO EN ARANJUEZ EL 21 DE JUNIO DEL 2014. 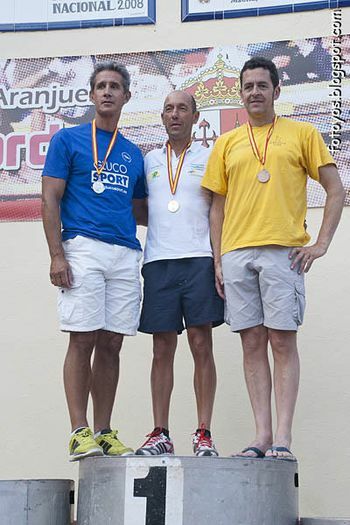 AREAL ABREU PEDRO FERNANDEZ LAMEIRO ADRIAN CLUB BREOGAN DO GROVE 1º EN LA CATEGORIA HOMBRE SENIOR C-2 DEL XLII RAPHEL NACIONAL DEL TAJO Y II CAMPEONATO DE ESPAÑA DE RIOS Y TRAVESIAS CELEBRADO EN ARANJUEZ EL 21 DE JUNIO DEL 2014. 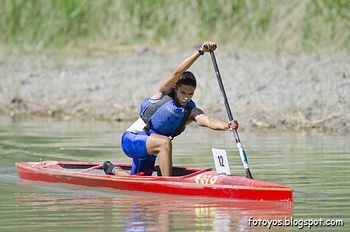 PEDRERO LOZOYA HUGO ALBERTO Y URSULA LUENGO DAVID CLUB ESCUELA PIRAGÜISMO ARANJUEZ 2º EN LA CATEGORIA HOMBRE SENIOR C-2 DEL XLII RAPHEL NACIONAL DEL TAJO Y II CAMPEONATO DE ESPAÑA DE RIOS Y TRAVESIAS CELEBRADO EN ARANJUEZ EL 21 DE JUNIO DEL 2014. 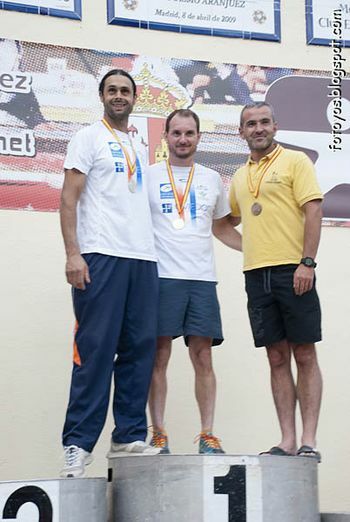 MORA CARRASCO ALVARO Y SERRANO MARTINEZ JULIAN CLUB ESCUELA PIRAGÜISMO ARANJUEZ 3º EN LA CATEGORIA HOMBRE SENIOR C-2 DEL XLII RAPHEL NACIONAL DEL TAJO Y II CAMPEONATO DE ESPAÑA DE RIOS Y TRAVESIAS CELEBRADO EN ARANJUEZ EL 21 DE JUNIO DEL 2014. MANZANARES RUIZ JUAN Y MARTINEZ GONZALEZ IMANOL CLUB ESCUELA PIRAGÜISMO ARANJUEZ 1º, CALVO MOYA IGNACIO Y GARRIDO VELASCO ALVARO CLUB ESCUELA PIRAGÜISMO ARANJUEZ 2º Y MARTÍNEZ GARCÍA JAIME GALLEGO ZARCO PABLO LUIS S.D. 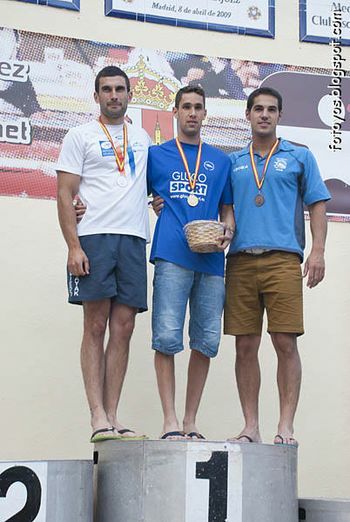 DEL CIRCULO MERCANTIL E INDUSTRIAL DE SEVILLA 3º EN LA CATEGORIA HOMBRE JUNIOR C-2 DEL XLII RAPHEL NACIONAL DEL TAJO Y II CAMPEONATO DE ESPAÑA DE RIOS Y TRAVESIASCELEBRADO EN ARANJUEZ EL 21 DE JUNIO DEL 2014. 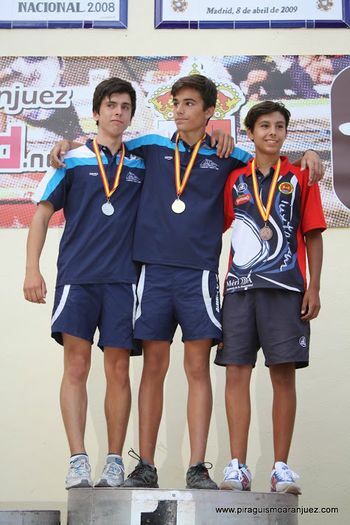 MANZANARES RUIZ JUAN Y MARTINEZ GONZALEZ IMANOL CLUB ESCUELA PIRAGÜISMO ARANJUEZ 1º EN LA CATEGORIA HOMBRE JUNIOR C-2 DEL XLII RAPHEL NACIONAL DEL TAJO Y II CAMPEONATO DE ESPAÑA DE RIOS Y TRAVESIAS CELEBRADO EN ARANJUEZ EL 21 DE JUNIO DEL 2014. 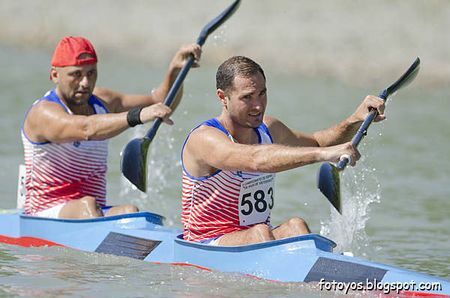 CALVO MOYA IGNACIO Y GARRIDO VELASCO ALVARO CLUB ESCUELA PIRAGÜISMO ARANJUEZ 2º EN LA CATEGORIA HOMBRE JUNIOR C-2 DEL XLII RAPHEL NACIONAL DEL TAJO Y II CAMPEONATO DE ESPAÑA DE RIOS Y TRAVESIAS CELEBRADO EN ARANJUEZ EL 21 DE JUNIO DEL 2014. MARTÍNEZ GARCÍA JAIME GALLEGO ZARCO PABLO LUIS S.D. 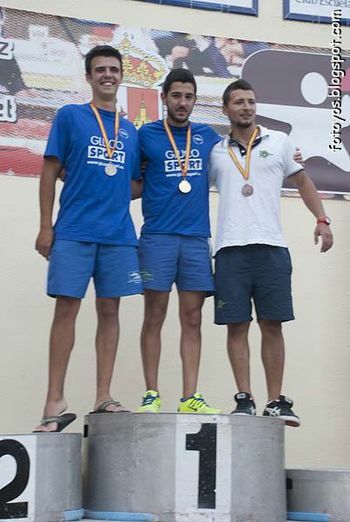 DEL CIRCULO MERCANTIL E INDUSTRIAL DE SEVILLA 3º EN LA CATEGORIA HOMBRE JUNIOR C-2 DEL XLII RAPHEL NACIONAL DEL TAJO Y II CAMPEONATO DE ESPAÑA DE RIOS Y TRAVESIAS CELEBRADO EN ARANJUEZ EL 21 DE JUNIO DEL 2014. 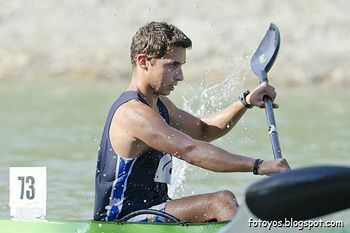 DOMINGUEZ MARTIN NOEL ALBERCHE KAYAK CLUB 1º, SALDAÑA PORFLIT PABLO ALBERCHE KAYAK CLUB 2º Y OSES MORENO FRANCISCO MANUEL CLUB POLIDEPORTIVO IUXTANAM-MONTEORO 3º EN LA CATEGORIA HOMBRE CADETE C-1 DEL XLII RAPHEL NACIONAL DEL TAJO Y II CAMPEONATO DE ESPAÑA DE RIOS Y TRAVESIASCELEBRADO EN ARANJUEZ EL 21 DE JUNIO DEL 2014. 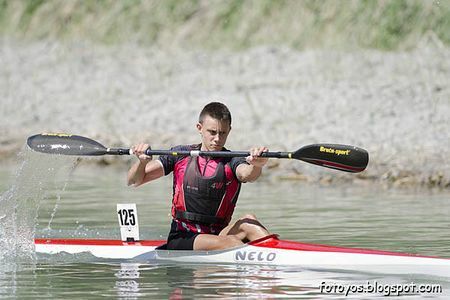 DOMINGUEZ MARTIN NOEL ALBERCHE KAYAK CLUB 1º EN LA CATEGORIA HOMBRE CADETE C-1 DEL XLII RAPHEL NACIONAL DEL TAJO Y II CAMPEONATO DE ESPAÑA DE RIOS Y TRAVESIAS CELEBRADO EN ARANJUEZ EL 21 DE JUNIO DEL 2014. 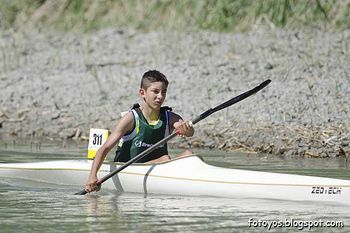 SALDAÑA PORFLIT PABLO ALBERCHE KAYAK CLUB 2º EN LA CATEGORIA HOMBRE CADETE C-1 DEL XLII RAPHEL NACIONAL DEL TAJO Y II CAMPEONATO DE ESPAÑA DE RIOS Y TRAVESIAS CELEBRADO EN ARANJUEZ EL 21 DE JUNIO DEL 2014. 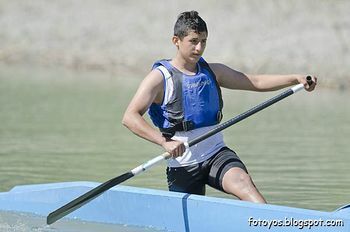 OSES MORENO FRANCISCO MANUEL CLUB POLIDEPORTIVO IUXTANAM-MONTEORO 3º EN LA CATEGORIA HOMBRE CADETE C-1 DEL XLII RAPHEL NACIONAL DEL TAJO Y II CAMPEONATO DE ESPAÑA DE RIOS Y TRAVESIAS CELEBRADO EN ARANJUEZ EL 21 DE JUNIO DEL 2014. YUBERO MARTIN ALBERTO CLUB ESCUELA PIRAGÜISMO ARANJUEZ 9º EN LA CATEGORIA HOMBRE CADETE C-1 DELXLII RAPHEL NACIONAL DEL TAJO Y II CAMPEONATO DE ESPAÑA DE RIOS Y TRAVESIAS CELEBRADO EN ARANJUEZ EL 21 DE JUNIO DEL 2014. 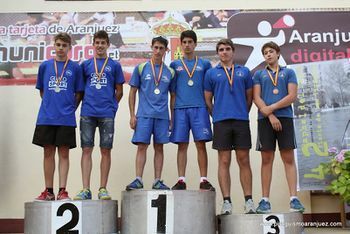 CANO MAGANTO ANDRES CLUB ESCUELA PIRAGÜISMO ARANJUEZ 10º EN LA CATEGORIA HOMBRE CADETE C-1 DELXLII RAPHEL NACIONAL DEL TAJO Y II CAMPEONATO DE ESPAÑA DE RIOS Y TRAVESIAS CELEBRADO EN ARANJUEZ EL 21 DE JUNIO DEL 2014. MEJIA EUFRAGIO CRISTHIAN DAVID CLUB ESCUELA PIRAGÜISMO ARANJUEZ 11º EN LA CATEGORIA HOMBRE CADETE C-1 DEL XLII RAPHEL NACIONAL DEL TAJO Y II CAMPEONATO DE ESPAÑA DE RIOS Y TRAVESIASCELEBRADO EN ARANJUEZ EL 21 DE JUNIO DEL 2014. 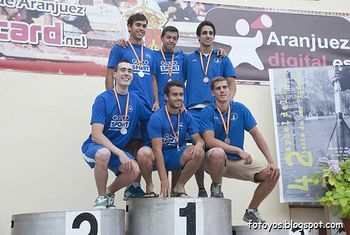 CARLOS ALONSO DEL ALAMO Y POKORA ALFARO MARC EMILIO CLUB ESCUELA PIRAGÜISMO ARANJUEZ 1º, SANTIAGO HENARES SERGIO Y DAVID MORENO TIZON CLUB ESCUELA PIRAGÜISMO ARANJUEZ 2º Y NAVARRO HINOJOSA JAVIER Y MARTÍN GARCÉS JESÚS S.D. 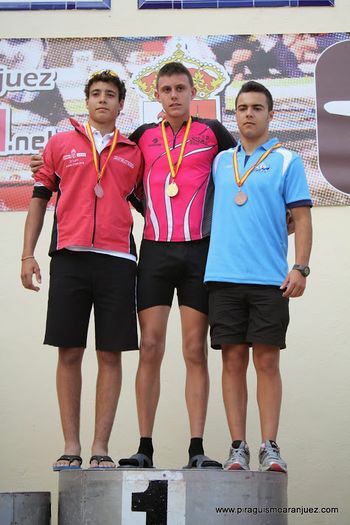 DEL CIRCULO MERCANTIL E INDUSTRIAL DE SEVILLA 3º EN LA CATEGORIA HOMBRE CADETE C-2 DEL XLII RAPHEL NACIONAL DEL TAJO Y II CAMPEONATO DE ESPAÑA DE RIOS Y TRAVESIAS CELEBRADO EN ARANJUEZ EL 21 DE JUNIO DEL 2014. 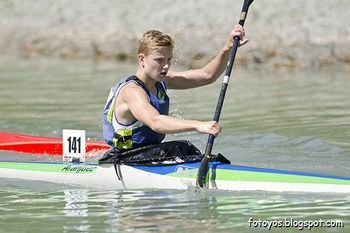 CARLOS ALONSO DEL ALAMO Y POKORA ALFARO MARC EMILIO CLUB ESCUELA PIRAGÜISMO ARANJUEZ 1º EN LA CATEGORIA HOMBRE CADETE C-2 DEL XLII RAPHEL NACIONAL DEL TAJO Y II CAMPEONATO DE ESPAÑA DE RIOS Y TRAVESIAS CELEBRADO EN ARANJUEZ EL 21 DE JUNIO DEL 2014. 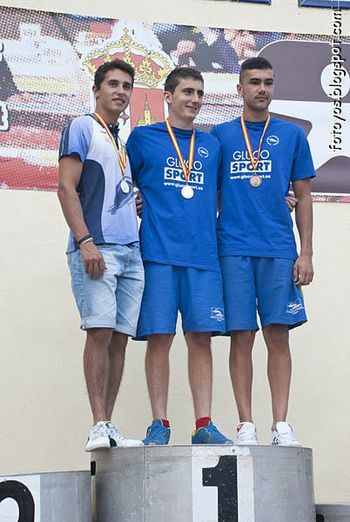 SANTIAGO HENARES SERGIO Y DAVID MORENO TIZON CLUB ESCUELA PIRAGÜISMO ARANJUEZ 2º EN LA CATEGORIA HOMBRE CADETE C-2 DEL XLII RAPHEL NACIONAL DEL TAJO Y II CAMPEONATO DE ESPAÑA DE RIOS Y TRAVESIAS CELEBRADO EN ARANJUEZ EL 21 DE JUNIO DEL 2014. NAVARRO HINOJOSA JAVIER Y MARTÍN GARCÉS JESÚS S.D. 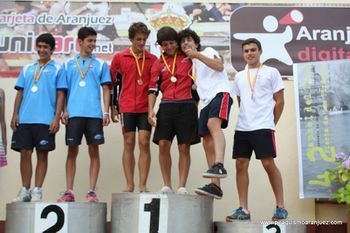 DEL CIRCULO MERCANTIL E INDUSTRIAL DE SEVILLA 3º EN LA CATEGORIA HOMBRE CADETE C-2 DEL XLII RAPHEL NACIONAL DEL TAJO Y II CAMPEONATO DE ESPAÑA DE RIOS Y TRAVESIAS CELEBRADO EN ARANJUEZ EL 21 DE JUNIO DEL 2014. GASTALDO ARIZA RAIMON CLUB PIRAGÜISMO SILLA 1º, FERNANDEZ COMPADRE TELMO CLUB SOCIEDAD DEPORTIVA SANTIAGOTARRAK 2º Y FERNANDEZ LOPEZ EMILIO CLUB PIRAGUAS LA ALONGAR SUMI. 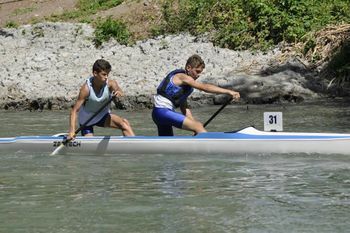 ELECTRICOS AMIEVA 3º EN LA CATEGORIA HOMBRE CADETE K-1 DEL XLII RAPHEL NACIONAL DEL TAJO Y II CAMPEONATO DE ESPAÑA DE RIOS Y TRAVESIAS CELEBRADO EN ARANJUEZ EL 21 DE JUNIO DEL 2014. GASTALDO ARIZA RAIMON CLUB PIRAGÜISMO SILLA 1º EN LA CATEGORIA HOMBRE CADETE K-1 DEL XLII RAPHEL NACIONAL DEL TAJO Y II CAMPEONATO DE ESPAÑA DE RIOS Y TRAVESIAS CELEBRADO EN ARANJUEZ EL 21 DE JUNIO DEL 2014. FERNANDEZ COMPADRE TELMO CLUB SOCIEDAD DEPORTIVA SANTIAGOTARRAK 2º EN LA CATEGORIA HOMBRE CADETE K-1 DEL XLII RAPHEL NACIONAL DEL TAJO Y II CAMPEONATO DE ESPAÑA DE RIOS Y TRAVESIASCELEBRADO EN ARANJUEZ EL 21 DE JUNIO DEL 2014. FERNANDEZ LOPEZ EMILIO CLUB PIRAGUAS LA LLONGAR SUMI. 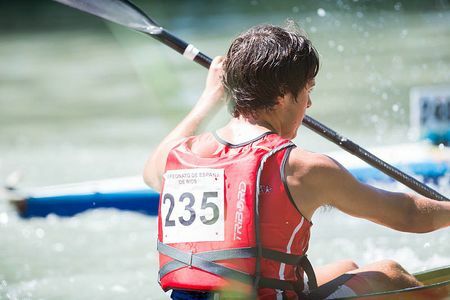 ELECTRICOS AMIEVA 3º EN LA CATEGORIA HOMBRE CADETE K-1 DEL XLII RAPHEL NACIONAL DEL TAJO Y II CAMPEONATO DE ESPAÑA DE RIOS Y TRAVESIASCELEBRADO EN ARANJUEZ EL 21 DE JUNIO DEL 2014. SHEVCHUK ROMAN CLUB ESCUELA PIRAGÜISMO ARANJUEZ 8º EN LA CATEGORIA HOMBRE CADETE K-1 DELXLII RAPHEL NACIONAL DEL TAJO Y II CAMPEONATO DE ESPAÑA DE RIOS Y TRAVESIAS CELEBRADO EN ARANJUEZ EL 21 DE JUNIO DEL 2014. MARTINEZ TORRE ADRIAN CLUB ESCUELA PIRAGÜISMO ARANJUEZ 36º EN LA CATEGORIA HOMBRE CADETE K-1 DELXLII RAPHEL NACIONAL DEL TAJO Y II CAMPEONATO DE ESPAÑA DE RIOS Y TRAVESIAS CELEBRADO EN ARANJUEZ EL 21 DE JUNIO DEL 2014. GORROTXATEGI SUSPERREGI AITOREGIGUREN GOMEZ ENEKO CLUB SOCIEDAD DEPORTIVA SANTIAGOTARRAK 1º, DE DIOS CASO AITOR SANCHEZ GARCIA JAVIER CLUB PIRAGUAS LA LLONGAR SUMI. 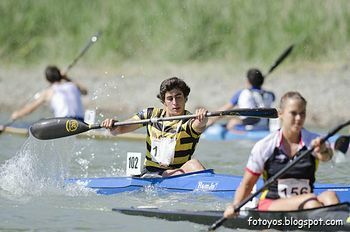 ELECTRICOS AMIEVA 2º Y CAPIN CERRA FRANCISCO MIGOYA GARCIA DAVID SOCIEDAD CULTURAL Y DEPORTIVA RIBADESELLA 3º EN LA CATEGORIA HOMBRE CADETE K-2 DEL XLII RAPHEL NACIONAL DEL TAJO Y II CAMPEONATO DE ESPAÑA DE RIOS Y TRAVESIAS CELEBRADO EN ARANJUEZ EL 21 DE JUNIO DEL 2014. 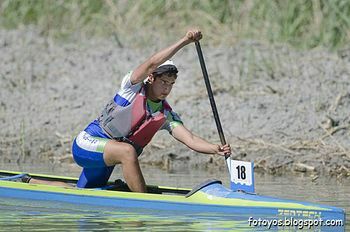 GORROTXATEGI SUSPERREGI AITOREGIGUREN GOMEZ ENEKO CLUB SOCIEDAD DEPORTIVA SANTIAGOTARRAK 1º EN LA CATEGORIA HOMBRE CADETE K-2 DEL XLII RAPHEL NACIONAL DEL TAJO Y II CAMPEONATO DE ESPAÑA DE RIOS Y TRAVESIAS CELEBRADO EN ARANJUEZ EL 21 DE JUNIO DEL 2014. DE DIOS CASO AITOR SANCHEZ GARCIA JAVIER CLUB PIRAGUAS LA LLONGAR SUMI. 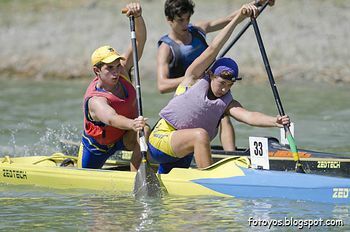 ELECTRICOS AMIEVA 2º EN LA CATEGORIA HOMBRE CADETE K-2 DEL XLII RAPHEL NACIONAL DEL TAJO Y II CAMPEONATO DE ESPAÑA DE RIOS Y TRAVESIAS CELEBRADO EN ARANJUEZ EL 21 DE JUNIO DEL 2014. 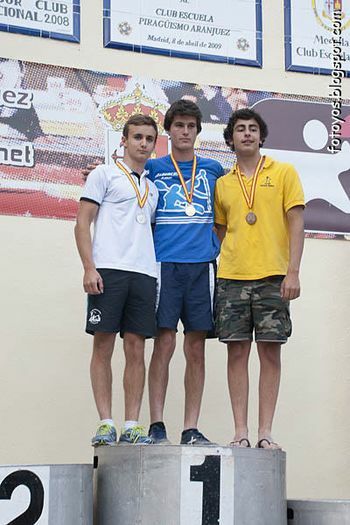 CAPIN CERRA FRANCISCO MIGOYA GARCIA DAVID SOCIEDAD CULTURAL Y DEPORTIVA RIBADESELLA 3º EN LA CATEGORIA HOMBRE CADETE K-2 DEL XLII RAPHEL NACIONAL DEL TAJO Y II CAMPEONATO DE ESPAÑA DE RIOS Y TRAVESIAS CELEBRADO EN ARANJUEZ EL 21 DE JUNIO DEL 2014. 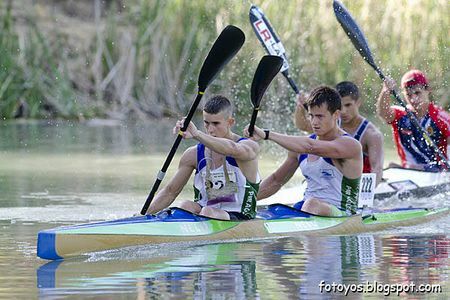 ALONSO HERNANDEZ CARLOS Y HERPEN ARQUERONS MARTIN CLUB ESCUELA PIRAGÜISMO ARANJUEZ 7º EN LA CATEGORIA HOMBRE CADETE K-2 DEL XLII RAPHEL NACIONAL DEL TAJO Y II CAMPEONATO DE ESPAÑA DE RIOS Y TRAVESIAS CELEBRADO EN ARANJUEZ EL 21 DE JUNIO DEL 2014. 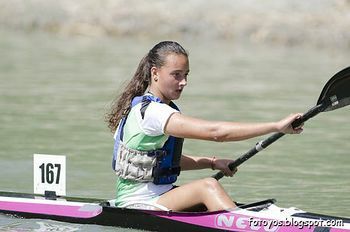 ASENJO PASTOR SARA CLUB PALENTINO DE PIRAGÜISMO 1ª, PARDO MAS BARBARA PEÑA PIRAGÜISTA ANTELLA 2ª Y HIDALGO UNIBASO NEREA CLUB PIRAGÜISMO PAMPLONA 3ª EN LA CATEGORIA MUJER CADETE K-1 DELXLII RAPHEL NACIONAL DEL TAJO Y II CAMPEONATO DE ESPAÑA DE RIOS Y TRAVESIAS CELEBRADO EN ARANJUEZ EL 21 DE JUNIO DEL 2014. 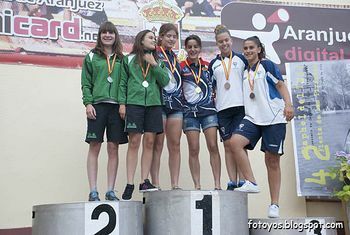 ASENJO PASTOR SARA CLUB PALENTINO DE PIRAGÜISMO 1ª EN LA CATEGORIA MUJER CADETE K-1 DEL XLII RAPHEL NACIONAL DEL TAJO Y II CAMPEONATO DE ESPAÑA DE RIOS Y TRAVESIAS CELEBRADO EN ARANJUEZ EL 21 DE JUNIO DEL 2014. 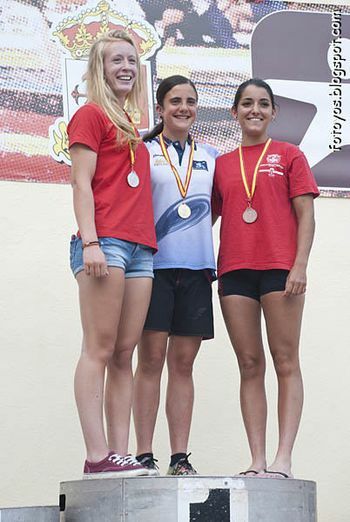 PARDO MAS BARBARA PEÑA PIRAGÜISTA ANTELLA 2ª EN LA CATEGORIA MUJER CADETE K-1 DEL XLII RAPHEL NACIONAL DEL TAJO Y II CAMPEONATO DE ESPAÑA DE RIOS Y TRAVESIAS CELEBRADO EN ARANJUEZ EL 21 DE JUNIO DEL 2014. HIDALGO UNIBASO NEREA CLUB PIRAGÜISMO PAMPLONA 3ª EN LA CATEGORIA MUJER CADETE K-1 DELXLII RAPHEL NACIONAL DEL TAJO Y II CAMPEONATO DE ESPAÑA DE RIOS Y TRAVESIAS CELEBRADO EN ARANJUEZ EL 21 DE JUNIO DEL 2014. CALVO MOYA NATALIA CLUB ESCUELA PIRAGÜISMO ARANJUEZ 12ª EN LA CATEGORIA MUJER CADETE K-1 DELXLII RAPHEL NACIONAL DEL TAJO Y II CAMPEONATO DE ESPAÑA DE RIOS Y TRAVESIAS CELEBRADO EN ARANJUEZ EL 21 DE JUNIO DEL 2014. LOPEZ PINOS MARIA TOLEDO ESPINILLA ARANTZA CLUB PIRAGÜISMO CUENCA CON CARACTER 1ª, VILLAZON BUSTA AIDA REY RODRIGUEZ NORA CLUB PIRAGUAS VILLAVICIOSA-EL GAITERO 2ª Y DENCHE SANZ CELIA RONCERO DURAN CLARA CLUB PIRAGÜISMO BADAJOZ 3ª EN LA CATEGORIA MUJER CADETE K-2 DEL XLII RAPHEL NACIONAL DEL TAJO Y II CAMPEONATO DE ESPAÑA DE RIOS Y TRAVESIAS CELEBRADO EN ARANJUEZ EL 21 DE JUNIO DEL 2014. 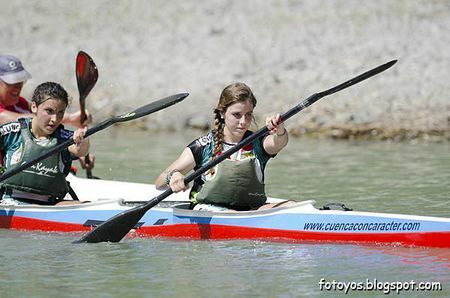 LOPEZ PINOS MARIA TOLEDO ESPINILLA ARANTZA CLUB PIRAGÜISMO CUENCA CON CARACTER 1ª EN LA CATEGORIA MUJER CADETE K-2 DEL XLII RAPHEL NACIONAL DEL TAJO Y II CAMPEONATO DE ESPAÑA DE RIOS Y TRAVESIAS CELEBRADO EN ARANJUEZ EL 21 DE JUNIO DEL 2014. VILLAZON BUSTA AIDA REY RODRIGUEZ NORA CLUB PIRAGUAS VILLAVICIOSA-EL GAITERO 2ª EN LA CATEGORIA MUJER CADETE K-2 DEL XLII RAPHEL NACIONAL DEL TAJOY II CAMPEONATO DE ESPAÑA DE RIOS Y TRAVESIASCELEBRADO EN ARANJUEZ EL 21 DE JUNIO DEL 2014. 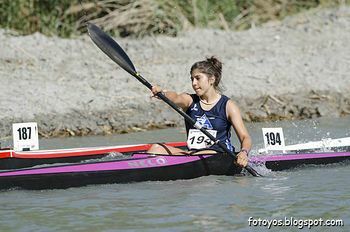 DENCHE SANZ CELIA RONCERO DURAN CLARA CLUB PIRAGÜISMO BADAJOZ 3ª EN LA CATEGORIA MUJER CADETE K-2 DEL XLII RAPHEL NACIONAL DEL TAJO Y II CAMPEONATO DE ESPAÑA DE RIOS Y TRAVESIASCELEBRADO EN ARANJUEZ EL 21 DE JUNIO DEL 2014. 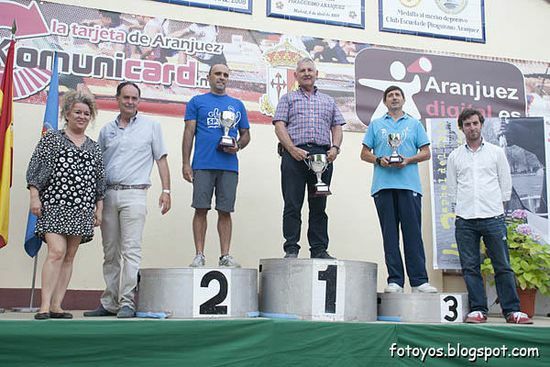 JAVIER RODRIGUEZ DORADO ENTRENADOR DEL CLUB ESCUELA PIRAGÜISMO ARANJUEZ CAMPEON POR CLUBS DEL XLII RAPHEL NACIONAL DEL TAJO Y II CAMPEONATO DE ESPAÑA DE RIOS Y TRAVESIAS CELEBRADO EN ARANJUEZ EL 21 DE JUNIO DEL 2014. 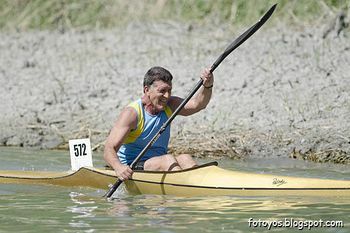 MARTIN VALLE ANGEL ALBERCHE KAYAK CLUB 1º Y BLANCO ESTEBAN JOAQUIN CLUB LOS CUERVOS LINPAC 2º EN LA CATEGORIA HOMBRE VETERANO (50-54 AÑOS) C-1 DEL XLII RAPHEL NACIONAL DEL TAJO DE VETERANOS Y II CAMPEONATO DE ESPAÑA DE RIOS Y TRAVESIAS DE VETERANOS CELEBRADO EN ARANJUEZ EL 21 DE JUNIO DEL 2014. 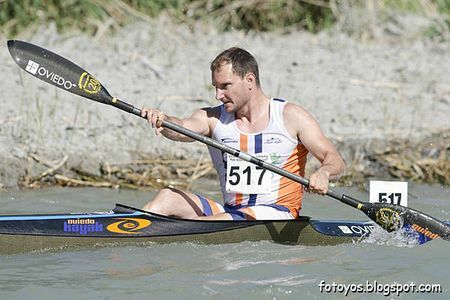 MARTIN VALLE ANGEL ALBERCHE KAYAK CLUB 1º EN LA CATEGORIA HOMBRE VETERANO (50-54 AÑOS) C-1 DEL XLII RAPHEL NACIONAL DEL TAJO DE VETERANOS Y II CAMPEONATO DE ESPAÑA DE RIOS Y TRAVESIAS DE VETERANOS CELEBRADO EN ARANJUEZ EL 21 DE JUNIO DEL 2014. 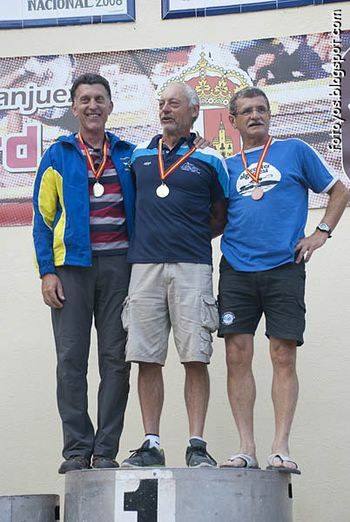 BLANCO ESTEBAN JOAQUIN CLUB LOS CUERVOS LINPAC 2º EN LA CATEGORIA HOMBRE VETERANO (50-54 AÑOS) C-1 DEL XLII RAPHEL NACIONAL DEL TAJO DE VETERANOS Y II CAMPEONATO DE ESPAÑA DE RIOS Y TRAVESIAS DE VETERANOS CELEBRADO EN ARANJUEZ EL 21 DE JUNIO DEL 2014. 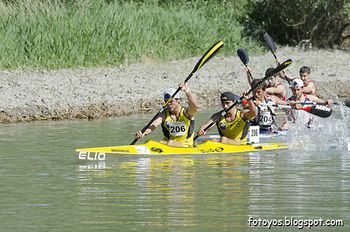 HERRADOR LEAL JOSE MIGUEL ADZ-IBERDROLA ZAMORA 1º, MELUS LOPEZ FRANCISCO JAVIER CLUB ESCUELA PIRAGÜISMO ARANJUEZ 2º Y NOVAL QUIROS JOSE RAMON CLUB KAYAK SIERO 3º EN LA CATEGORIA HOMBRE VETERANO (50-54 AÑOS) K-1 DEL XLII RAPHEL NACIONAL DEL TAJO DE VETERANOS Y II CAMPEONATO DE ESPAÑA DE RIOS Y TRAVESIAS DE VETERANOS CELEBRADO EN ARANJUEZ EL 21 DE JUNIO DEL 2014. 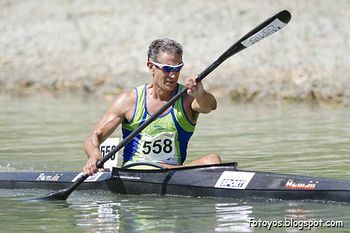 HERRADOR LEAL JOSE MIGUEL ADZ-IBERDROLA ZAMORA 1º EN LA CATEGORIA HOMBRE VETERANO (50-54 AÑOS) K-1 DEL XLII RAPHEL NACIONAL DEL TAJO DE VETERANOS Y II CAMPEONATO DE ESPAÑA DE RIOS Y TRAVESIAS DE VETERANOS CELEBRADO EN ARANJUEZ EL 21 DE JUNIO DEL 2014. 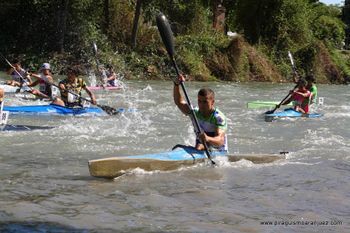 MELUS LOPEZ FRANCISCO JAVIER CLUB ESCUELA PIRAGÜISMO ARANJUEZ 2º EN LA CATEGORIA HOMBRE VETERANO (50-54 AÑOS) K-1 DEL XLII RAPHEL NACIONAL DEL TAJO DE VETERANOS Y II CAMPEONATO DE ESPAÑA DE RIOS Y TRAVESIAS DE VETERANOS CELEBRADO EN ARANJUEZ EL 21 DE JUNIO DEL 2014. 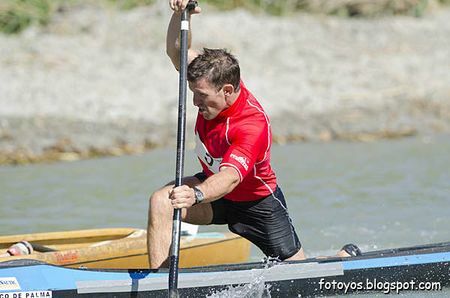 NOVAL QUIROS JOSE RAMON CLUB KAYAK SIERO 3º EN LA CATEGORIA HOMBRE VETERANO (50-54 AÑOS) K-1 DELXLII RAPHEL NACIONAL DEL TAJO DE VETERANOS Y II CAMPEONATO DE ESPAÑA DE RIOS Y TRAVESIAS DE VETERANOS CELEBRADO EN ARANJUEZ EL 21 DE JUNIO DEL 2014. CRAVIOTTO BLANCO MANUEL SICORIS CLUB 1º, MORENO SALVADOR FRANCISCO JOSE 2º Y GONZALEZ ARANDA MANUEL CLUB ESCUELA PIRAGÜISMO ARANJUEZ 3º EN LA CATEGORIA HOMBRE VETERANO (55-59 AÑOS) K-1 DEL XLII RAPHEL NACIONAL DEL TAJO DE VETERANOS Y II CAMPEONATO DE ESPAÑA DE RIOS Y TRAVESIAS DE VETERANOS CELEBRADO EN ARANJUEZ EL 21 DE JUNIO DEL 2014. CRAVIOTTO BLANCO MANUEL SICORIS CLUB 1º EN LA CATEGORIA HOMBRE VETERANO (55-59 AÑOS) K-1 DEL XLII RAPHEL NACIONAL DEL TAJO DE VETERANOS Y II CAMPEONATO DE ESPAÑA DE RIOS Y TRAVESIAS DE VETERANOS CELEBRADO EN ARANJUEZ EL 21 DE JUNIO DEL 2014. 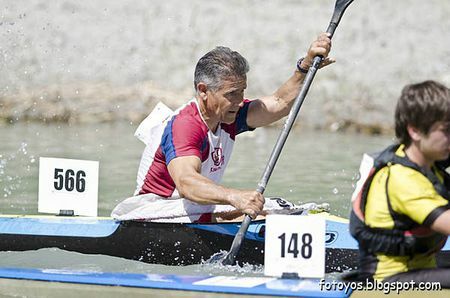 MORENO SALVADOR FRANCISCO JOSE 2º EN LA CATEGORIA HOMBRE VETERANO (55-59 AÑOS) K-1 DEL XLII RAPHEL NACIONAL DEL TAJO DE VETERANOS Y II CAMPEONATO DE ESPAÑA DE RIOS Y TRAVESIAS DE VETERANOS CELEBRADO EN ARANJUEZ EL 21 DE JUNIO DEL 2014. GONZALEZ ARANDA MANUEL CLUB ESCUELA PIRAGÜISMO ARANJUEZ 3º EN LA CATEGORIA HOMBRE VETERANO (55-59 AÑOS) K-1 DEL XLII RAPHEL NACIONAL DEL TAJO DE VETERANOS Y II CAMPEONATO DE ESPAÑA DE RIOS Y TRAVESIAS DE VETERANOS CELEBRADO EN ARANJUEZ EL 21 DE JUNIO DEL 2014. DE LA FUENTE PASCUAL ANGEL LUIS ALBERCHE KAYAK CLUB 1º, DIEGUEZ RODRIGUEZ JOSE LUIS CLUB DEPORTIVO DE PIRAGÜISMO TUDELA DE DUERO 2º Y ROIG MONTAÑES JOAQUIN A.D. SCOOTER CLUBEN LA CATEGORIA HOMBRE VETERANO (60-69 AÑOS) K-1 DEL XLII RAPHEL NACIONAL DEL TAJO DE VETERANOS Y II CAMPEONATO DE ESPAÑA DE RIOS Y TRAVESIAS DE VETERANOS CELEBRADO EN ARANJUEZ EL 21 DE JUNIO DEL 2014. 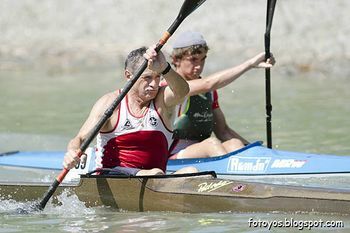 DE LA FUENTE PASCUAL ANGEL LUIS ALBERCHE KAYAK CLUB 1º EN LA CATEGORIA HOMBRE VETERANO (60-69 AÑOS) K-1 DEL XLII RAPHEL NACIONAL DEL TAJO DE VETERANOS Y II CAMPEONATO DE ESPAÑA DE RIOS Y TRAVESIAS DE VETERANOS CELEBRADO EN ARANJUEZ EL 21 DE JUNIO DEL 2014. 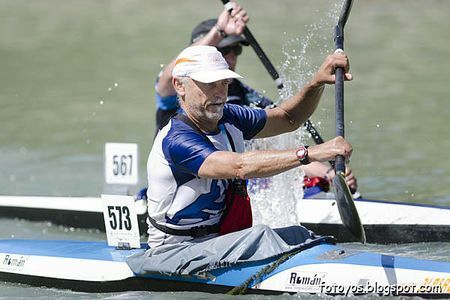 DIEGUEZ RODRIGUEZ JOSE LUIS CLUB DEPORTIVO DE PIRAGÜISMO TUDELA DE DUERO 2º EN LA CATEGORIA HOMBRE VETERANO (60-69 AÑOS) K-1 DEL XLII RAPHEL NACIONAL DEL TAJO DE VETERANOS Y II CAMPEONATO DE ESPAÑA DE RIOS Y TRAVESIAS DE VETERANOS CELEBRADO EN ARANJUEZ EL 21 DE JUNIO DEL 2014. ROIG MONTAÑES JOAQUIN A.D. SCOOTER CLUB 3º EN LA CATEGORIA HOMBRE VETERANO (60-69 AÑOS) K-1 DEL XLII RAPHEL NACIONAL DEL TAJO DE VETERANOS Y II CAMPEONATO DE ESPAÑA DE RIOS Y TRAVESIAS DE VETERANOS CELEBRADO EN ARANJUEZ EL 21 DE JUNIO DEL 2014. 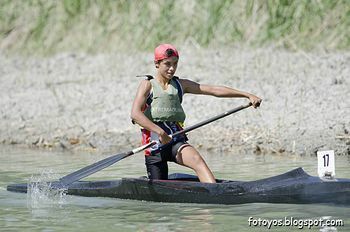 DEL VILLAR MIRANDA MARIA DEL PILAR ALBERCHE KAYAK CLUB 1ª, FDEZ-BALLESTEROS IÑIGO MARGARITA S.D. 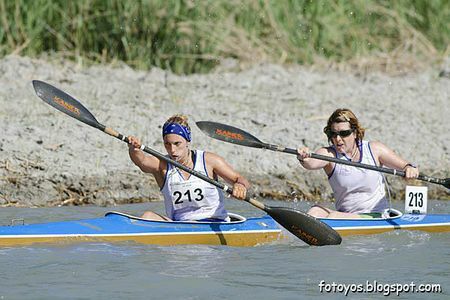 DEL CIRCULO MERCANTIL E INDUSTRIAL DE SEVILLA 2ª Y VIZCAINO VERGARA CONCEPCION CLUB ESCUELA PIRAGÜISMO ARANJUEZ 3ª EN LA CATEGORIA MUJER VETERANO (45-49 AÑOS) K-1 DEL XLII RAPHEL NACIONAL DEL TAJO DE VETERANOS Y II CAMPEONATO DE ESPAÑA DE RIOS Y TRAVESIAS DE VETERANOS CELEBRADO EN ARANJUEZ EL 21 DE JUNIO DEL 2014. 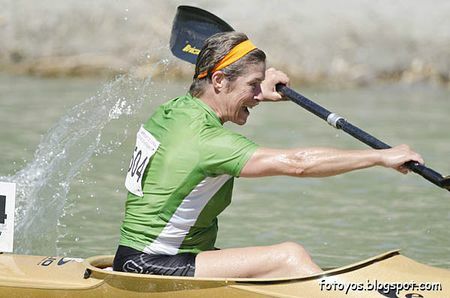 DEL VILLAR MIRANDA MARIA DEL PILAR ALBERCHE KAYAK CLUB 1ª EN LA CATEGORIA MUJER VETERANO (45-49 AÑOS) K-1 DEL XLII RAPHEL NACIONAL DEL TAJO DE VETERANOS Y II CAMPEONATO DE ESPAÑA DE RIOS Y TRAVESIAS DE VETERANOS CELEBRADO EN ARANJUEZ EL 21 DE JUNIO DEL 2014. FDEZ-BALLESTEROS IÑIGO MARGARITA S.D. 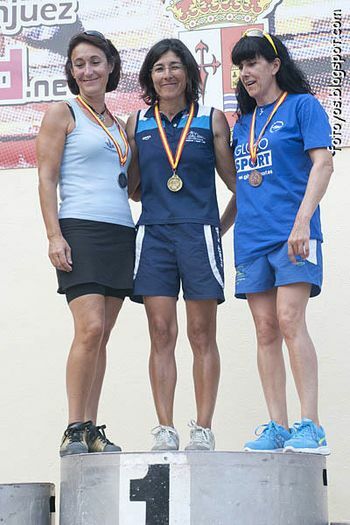 DEL CIRCULO MERCANTIL E INDUSTRIAL DE SEVILA 2ª EN LA CATEGORIA MUJER VETERANO (45-49 AÑOS) K-1 DEL XLII RAPHEL NACIONAL DEL TAJO DE VETERANOS Y II CAMPEONATO DE ESPAÑA DE RIOS Y TRAVESIAS DE VETERANOS CELEBRADO EN ARANJUEZ EL 21 DE JUNIO DEL 2014. 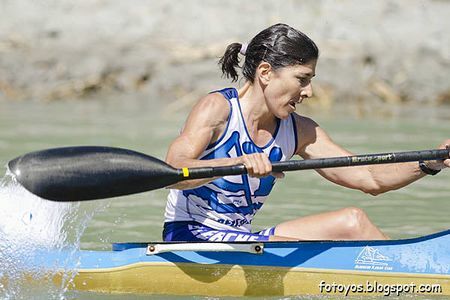 GONZALEZ BALMASEDA ANA ELENA CLUB KAYAK CASTRO URDIALES 1ª Y GONZALEZ DIAGO ISABEL CLUB DE REGATAS BURRIANA 2ª EN LA CATEGORIA MUJER VETERANO (50-64 AÑOS) K-1 DEL XLII RAPHEL NACIONAL DEL TAJO DE VETERANOS Y II CAMPEONATO DE ESPAÑA DE RIOS Y TRAVESIAS DE VETERANOS CELEBRADO EN ARANJUEZ EL 21 DE JUNIO DEL 2014. 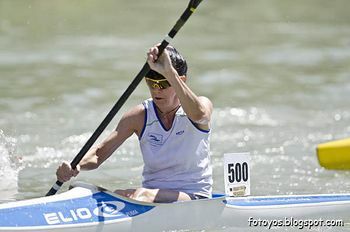 GONZALEZ BALMASEDA ANA ELENA CLUB KAYAK CASTRO URDIALES 1ª EN LA CATEGORIA MUJER VETERANO (50-64 AÑOS) K-1 DEL XLII RAPHEL NACIONAL DEL TAJO DE VETERANOS Y II CAMPEONATO DE ESPAÑA DE RIOS Y TRAVESIAS DE VETERANOS CELEBRADO EN ARANJUEZ EL 21 DE JUNIO DEL 2014. 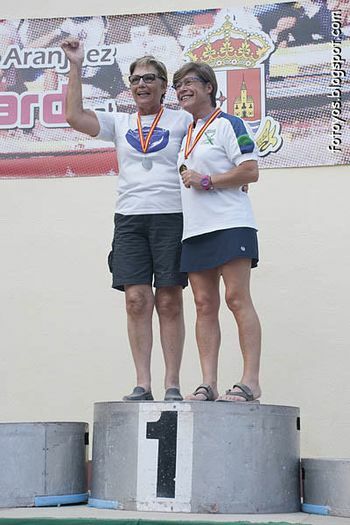 GONZALEZ DIAGO ISABEL CLUB DE REGATAS BURRIANA 2ª EN LA CATEGORIA MUJER VETERANO (50-64 AÑOS) K-1 DEL XLII RAPHEL NACIONAL DEL TAJO DE VETERANOS Y II CAMPEONATO DE ESPAÑA DE RIOS Y TRAVESIAS DE VETERANOS CELEBRADO EN ARANJUEZ EL 21 DE JUNIO DEL 2014. 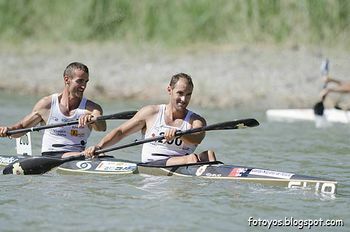 SANTOS ALVAREZ FAUSTINO CLUB DEPORTIVO OVIEDO-KAYAK 1º, CONSTANTIN MIHAI CLUB DEPORTIVO OVIEDO-KAYAK 2º Y FIGAREDO FERNANDEZ JOSE RAMON CLUB KAYAK SIERO 3º EN LA CATEGORIA HOMBRE VETERANO (35-39 años) K-1 DEL XLII RAPHEL NACIONAL DEL TAJO DE VETERANOS Y II CAMPEONATO DE ESPAÑA DE RIOS Y TRAVESIAS DE VETERANOS CELEBRADO EN ARANJUEZ EL 21 DE JUNIO DEL 2014. 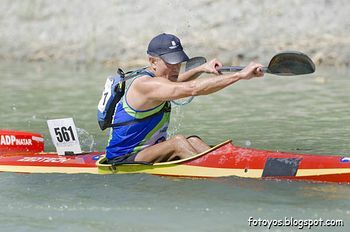 SANTOS ALVAREZ FAUSTINO CLUB DEPORTIVO OVIEDO-KAYAK 1º EN LA CATEGORIA HOMBRE VETERANO (35-39 años) K-1 DEL XLII RAPHEL NACIONAL DEL TAJO DE VETERANOS Y II CAMPEONATO DE ESPAÑA DE RIOS Y TRAVESIAS DE VETERANOS CELEBRADO EN ARANJUEZ EL 21 DE JUNIO DEL 2014. 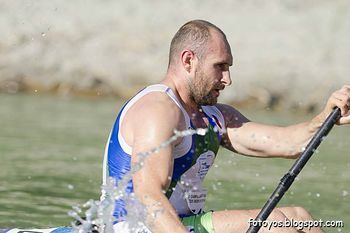 CONSTANTIN MIHAI CLUB DEPORTIVO OVIEDO-KAYAK 2º EN LA CATEGORIA HOMBRE VETERANO (35-39 años) K-1 DELXLII RAPHEL NACIONAL DEL TAJO DE VETERANOS Y II CAMPEONATO DE ESPAÑA DE RIOS Y TRAVESIAS DE VETERANOS CELEBRADO EN ARANJUEZ EL 21 DE JUNIO DEL 2014. 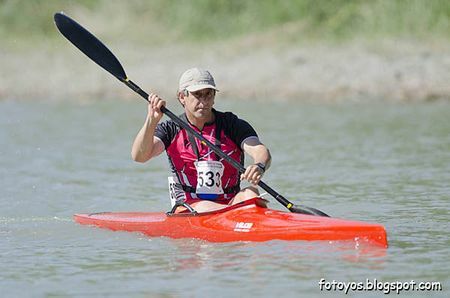 FIGAREDO FERNANDEZ JOSE RAMON CLUB KAYAK SIERO 3º EN LA CATEGORIA HOMBRE VETERANO (35-39 años) K-1 DEL XLII RAPHEL NACIONAL DEL TAJO DE VETERANOS Y II CAMPEONATO DE ESPAÑA DE RIOS Y TRAVESIAS DE VETERANOS CELEBRADO EN ARANJUEZ EL 21 DE JUNIO DEL 2014. 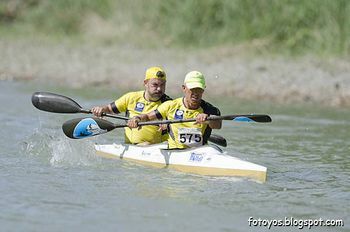 MADRID RUANO JAVIER CLUB ESCUELA PIRAGÜISMO ARANJUEZ 7º EN LA CATEGORIA HOMBRE VETERANO (35-39 años) K-1 DEL XLII RAPHEL NACIONAL DEL TAJO DE VETERANOS Y II CAMPEONATO DE ESPAÑA DE RIOS Y TRAVESIAS DE VETERANOS CELEBRADO EN ARANJUEZ EL 21 DE JUNIO DEL 2014. GONZALEZ CARRERA MIGUEL ANGEL CLUB FLUVIAL O BARCO 1º, PALACIN ARTIGOSA DANIEL CENTRO NATACION HELIOS 2º Y MAS MULET JOSE VICENTE CLUB PIRAGÜISMO SILLA 3º EN LA CATEGORIA HOMBRE VETERANO (40-44 años) K-1 DEL XLII RAPHEL NACIONAL DEL TAJO DE VETERANOSY II CAMPEONATO DE ESPAÑA DE RIOS Y TRAVESIAS DE VETERANOS CELEBRADO EN ARANJUEZ EL 21 DE JUNIO DEL 2014. 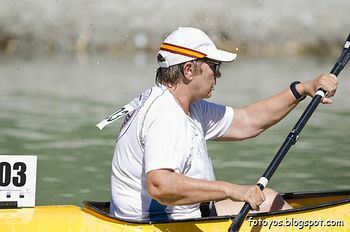 GONZALEZ CARRERA MIGUEL ANGEL CLUB FLUVIAL O BARCO 1º EN LA CATEGORIA HOMBRE VETERANO (40-44 años) K-1 DEL XLII RAPHEL NACIONAL DEL TAJO DE VETERANOS Y II CAMPEONATO DE ESPAÑA DE RIOS Y TRAVESIAS DE VETERANOS CELEBRADO EN ARANJUEZ EL 21 DE JUNIO DEL 2014. 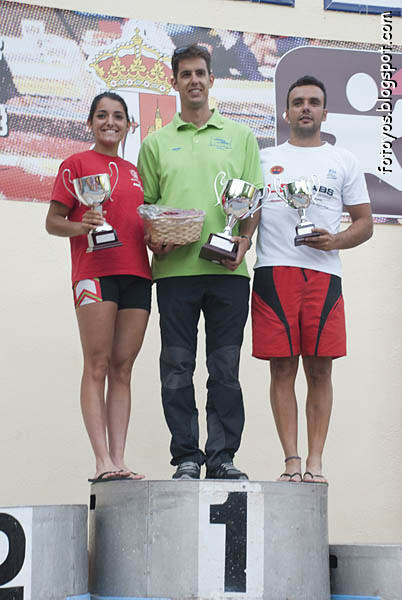 PALACIN ARTIGOSA DANIEL CENTRO NATACION HELIOS 2º EN LA CATEGORIA HOMBRE VETERANO (40-44 años) K-1 DEL XLII RAPHEL NACIONAL DEL TAJO DE VETERANOS Y II CAMPEONATO DE ESPAÑA DE RIOS Y TRAVESIAS DE VETERANOS CELEBRADO EN ARANJUEZ EL 21 DE JUNIO DEL 2014. MAS MULET JOSE VICENTE CLUB PIRAGÜISMO SILLA 3º EN LA CATEGORIA HOMBRE VETERANO (40-44 años) K-1 DELXLII RAPHEL NACIONAL DEL TAJO DE VETERANOS Y II CAMPEONATO DE ESPAÑA DE RIOS Y TRAVESIAS DE VETERANOS CELEBRADO EN ARANJUEZ EL 21 DE JUNIO DEL 2014. 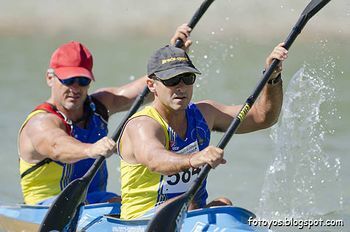 LOSADA MATAS DAVID CLUB ESCUELA PIRAGÜISMO ARANJUEZ 5º EN LA CATEGORIA HOMBRE VETERANO (40-44 años) K-1 DEL XLII RAPHEL NACIONAL DEL TAJO DE VETERANOS Y II CAMPEONATO DE ESPAÑA DE RIOS Y TRAVESIAS DE VETERANOS CELEBRADO EN ARANJUEZ EL 21 DE JUNIO DEL 2014. MEDRANO MIGUEL LUIS CLUB DEPORTIVO CISNE 1º, GONZALEZ FERNANDEZ LUIS ADZ-IBERDROLA ZAMORA 2º Y ROMAN MANGAS JOSE LUIS ADZ-IBERDROLA ZAMORA 3º EN LA CATEGORIA HOMBRE VETERANO (45-49 años) K-1 DELXLII RAPHEL NACIONAL DEL TAJO DE VETERANOS Y II CAMPEONATO DE ESPAÑA DE RIOS Y TRAVESIAS DE VETERANOS CELEBRADO EN ARANJUEZ EL 21 DE JUNIO DEL 2014. 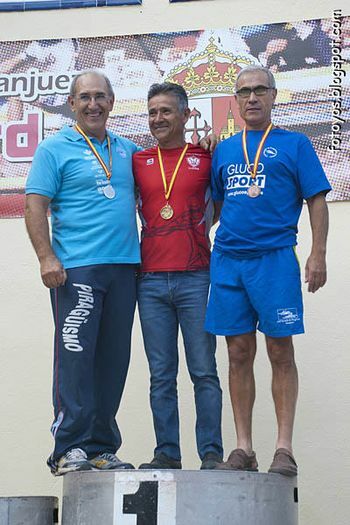 MEDRANO MIGUEL LUIS CLUB DEPORTIVO CISNE 1º EN LA CATEGORIA HOMBRE VETERANO (45-49 años) K-1 DEL XLII RAPHEL NACIONAL DEL TAJO DE VETERANOS Y II CAMPEONATO DE ESPAÑA DE RIOS Y TRAVESIAS DE VETERANOS CELEBRADO EN ARANJUEZ EL 21 DE JUNIO DEL 2014. 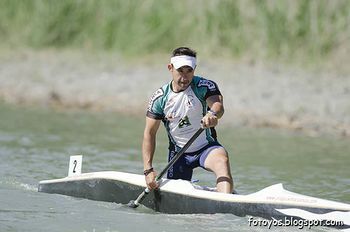 GONZALEZ FERNANDEZ LUIS ADZ-IBERDROLA ZAMORA 2º EN LA CATEGORIA HOMBRE VETERANO (45-49 años) K-1 DEL XLII RAPHEL NACIONAL DEL TAJO DE VETERANOS Y II CAMPEONATO DE ESPAÑA DE RIOS Y TRAVESIAS DE VETERANOS CELEBRADO EN ARANJUEZ EL 21 DE JUNIO DEL 2014. 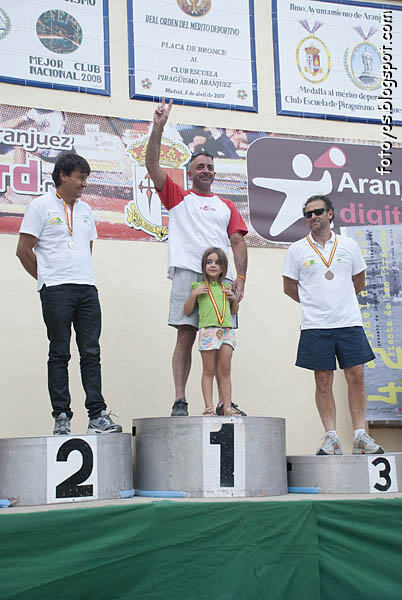 ROMAN MANGAS JOSE LUIS ADZ-IBERDROLA ZAMORA 3º EN LA CATEGORIA HOMBRE VETERANO (45-49 años) K-1 DELXLII RAPHEL NACIONAL DEL TAJO DE VETERANOS Y II CAMPEONATO DE ESPAÑA DE RIOS Y TRAVESIAS DE VETERANOS CELEBRADO EN ARANJUEZ EL 21 DE JUNIO DEL 2014. 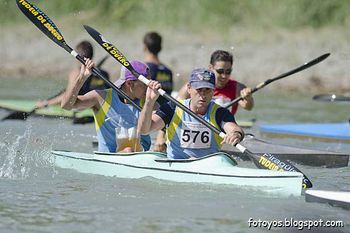 CINTO HUMBRÍA JORGE CLUB ESCUELA PIRAGÜISMO ARANJUEZ 5º EN LA CATEGORIA HOMBRE VETERANO (45-49 años) K-1 DEL XLII RAPHEL NACIONAL DEL TAJO DE VETERANOS Y II CAMPEONATO DE ESPAÑA DE RIOS Y TRAVESIAS DE VETERANOS CELEBRADO EN ARANJUEZ EL 21 DE JUNIO DEL 2014. GINER ROS FRANCISCO JOSE-TORTAJADA BROCAL JUAN JOSE CLUB PIRAGÜISMO SILLA 1º, GINER ROS FRANCISCO JOSE-TORTAJADA BROCAL JUAN JOSE CLUB PIRAGÜISMO SILLA 2º Y FERNÁNDEZ GONZÁLEZ BRAULIO-LOPEZ ALVAREZ MARIANO CLUB DEPORTIVO BÁSICO LOS CUERVOS LINPAC 3º EN LA CATEGORIA HOMBRE VETERANO (35-39 años) K-2 DEL XLII RAPHEL NACIONAL DEL TAJO DE VETERANOS Y II CAMPEONATO DE ESPAÑA DE RIOS Y TRAVESIAS DE VETERANOS CELEBRADO EN ARANJUEZ EL 21 DE JUNIO DEL 2014. GINER ROS FRANCISCO JOSE-TORTAJADA BROCAL JUAN JOSE CLUB PIRAGÜISMO SILLA 1º EN LA CATEGORIA HOMBRE VETERANO (35-39 años) K-2 DEL XLII RAPHEL NACIONAL DEL TAJO DE VETERANOS Y II CAMPEONATO DE ESPAÑA DE RIOS Y TRAVESIAS DE VETERANOS CELEBRADO EN ARANJUEZ EL 21 DE JUNIO DEL 2014. 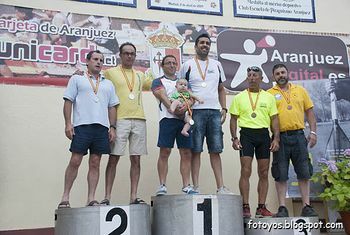 GINER ROS FRANCISCO JOSE-TORTAJADA BROCAL JUAN JOSE CLUB PIRAGÜISMO SILLA 2º EN LA CATEGORIA HOMBRE VETERANO (35-39 años) K-2 DEL XLII RAPHEL NACIONAL DEL TAJO DE VETERANOS Y II CAMPEONATO DE ESPAÑA DE RIOS Y TRAVESIAS DE VETERANOS CELEBRADO EN ARANJUEZ EL 21 DE JUNIO DEL 2014. 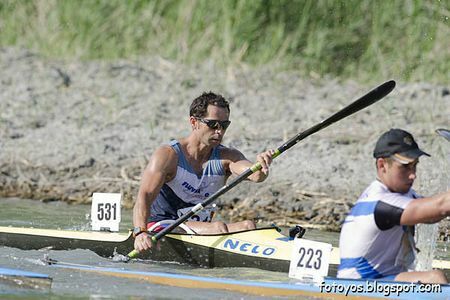 FERNÁNDEZ GONZÁLEZ BRAULIO-LOPEZ ALVAREZ MARIANO CLUB DEPORTIVO BÁSICO LOS CUERVOS LINPAC 3º EN LA CATEGORIA HOMBRE VETERANO (35-39 años) K-2 DEL XLII RAPHEL NACIONAL DEL TAJO DE VETERANOS Y II CAMPEONATO DE ESPAÑA DE RIOS Y TRAVESIAS DE VETERANOS CELEBRADO EN ARANJUEZ EL 21 DE JUNIO DEL 2014. 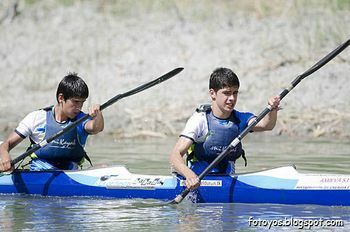 GARCIA RIOS FRANCISCO JAVIER CON MORCILLO MOLINA FRANCISCO JOSE DEL CLUB THADER KAYAK 1º, CALDERON DIEZ AGUSTIN CON GORIBAR OCHOA ERNESTO DE LA A.D.ESCUELA MUNICIPAL DE PIRAGÜISMO COLINDRES 2º Y ORTEGA MALIBRAN OSCAR CON ORTEGA MALIBRAN CARLOS MANUEL CLUB ESCUELA PIRAGÜISMO ARANJUEZ 3º EN LA CATEGORIA HOMBRE VETERANO (40-44 años) K-2 DEL XLII RAPHEL NACIONAL DEL TAJO DE VETERANOS Y II CAMPEONATO DE ESPAÑA DE RIOS Y TRAVESIAS DE VETERANOS CELEBRADO EN ARANJUEZ EL 21 DE JUNIO DEL 2014. 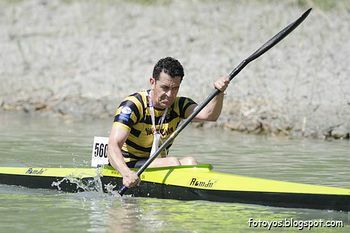 GARCIA RIOS FRANCISCO JAVIER-MORCILLO MOLINA FRANCISCO JOSE DEL CLUB THADER KAYAK 1º EN LA CATEGORIA HOMBRE VETERANO (40-44 años) K-2 DEL XLII RAPHEL NACIONAL DEL TAJO DE VETERANOS Y II CAMPEONATO DE ESPAÑA DE RIOS Y TRAVESIAS DE VETERANOSCELEBRADO EN ARANJUEZ EL 21 DE JUNIO DEL 2014. 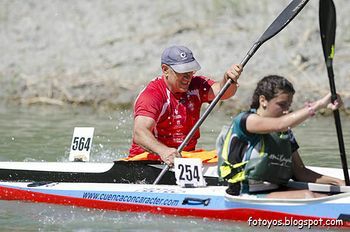 CALDERON DIEZ AGUSTIN-GORIBAR OCHOA ERNESTO DE LA A.D.ESCUELA MUNICIPAL DE PIRAGÜISMO COLINDRES 2º EN LA CATEGORIA HOMBRE VETERANO (40-44 años) K-2 DEL XLII RAPHEL NACIONAL DEL TAJO DE VETERANOS Y II CAMPEONATO DE ESPAÑA DE RIOS Y TRAVESIAS DE VETERANOS CELEBRADO EN ARANJUEZ EL 21 DE JUNIO DEL 2014. ORTEGA MALIBRAN OSCAR y ORTEGA MALIBRAN CARLOS MANUEL CLUB ESCUELA PIRAGÜISMO ARANJUEZ 3º EN LA CATEGORIA HOMBRE VETERANO (40-44 años) K-2 DEL XLII RAPHEL NACIONAL DEL TAJO DE VETERANOS Y II CAMPEONATO DE ESPAÑA DE RIOS Y TRAVESIAS DE VETERANOS CELEBRADO EN ARANJUEZ EL 21 DE JUNIO DEL 2014. CERRA PRIETO RAMON-LLERANDI FERNANDEZ VICENTE CLUB NEPTUNO DE TONI 1º, GARRIDO PEDRÓS JUAN CARLOS-MARTIN PLUMA JOSE LUIS SECCION DEPORTIVA DEL CIRCULO MERCANTIL E INDUSTRI 2º Y CUESTA VISO AURELIO-PAZOS RIESTRA MIGUEL ANGEL CLUB KAYAK SIERO 3º EN LA CATEGORIA HOMBRE VETERANO (45-54 años) K-2 DEL XLII RAPHEL NACIONAL DEL TAJO DE VETERANOS Y II CAMPEONATO DE ESPAÑA DE RIOS Y TRAVESIAS DE VETERANOS CELEBRADO EN ARANJUEZ EL 21 DE JUNIO DEL 2014. CERRA PRIETO RAMON-LLERANDI FERNANDEZ VICENTE CLUB NEPTUNO DE TONI 1º EN LA CATEGORIA HOMBRE VETERANO (45-54 años) K-2 DEL XLII RAPHEL NACIONAL DEL TAJO DE VETERANOS Y II CAMPEONATO DE ESPAÑA DE RIOS Y TRAVESIAS DE VETERANOS CELEBRADO EN ARANJUEZ EL 21 DE JUNIO DEL 2014. 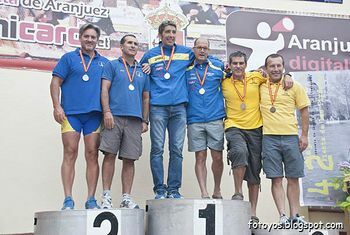 CERRA PRIETO RAMON-LLERANDI FERNANDEZ VICENTE CLUB NEPTUNO DE TONI 2º EN LA CATEGORIA HOMBRE VETERANO (45-54 años) K-2 DEL XLII RAPHEL NACIONAL DEL TAJO DE VETERANOS Y II CAMPEONATO DE ESPAÑA DE RIOS Y TRAVESIAS DE VETERANOS CELEBRADO EN ARANJUEZ EL 21 DE JUNIO DEL 2014. 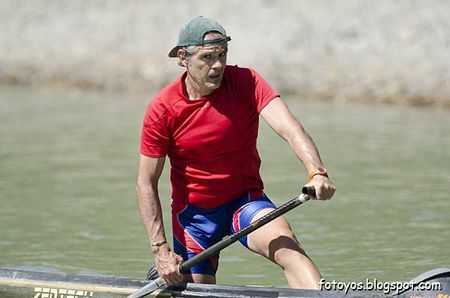 CUESTA VISO AURELIO-PAZOS RIESTRA MIGUEL ANGEL CLUB KAYAK SIERO 3º EN LA CATEGORIA HOMBRE VETERANO (45-54 años) K-2 DEL XLII RAPHEL NACIONAL DEL TAJO DE VETERANOS Y II CAMPEONATO DE ESPAÑA DE RIOS Y TRAVESIAS DE VETERANOS CELEBRADO EN ARANJUEZ EL 21 DE JUNIO DEL 2014. CALVO GALLEGO JAIME ADZ-IBERDROLA ZAMORA 1º, CORRECHER GONZALEZ JORGE CLUB PIRAGÜISMO SILLA 2º Y CARRASCAL REFOYO JOSE MARIA ADZ-IBERDROLA ZAMORA 3º EN LA CATEGORIA HOMBRE VETERANO (40-44 años) C-1 DEL XLII RAPHEL NACIONAL DEL TAJO DE VETERANOS Y II CAMPEONATO DE ESPAÑA DE RIOS Y TRAVESIAS DE VETERANOS CELEBRADO EN ARANJUEZ EL 21 DE JUNIO DEL 2014. 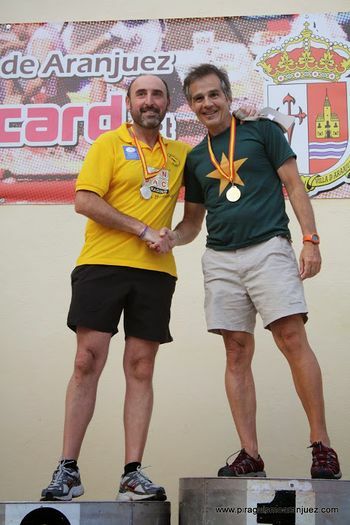 CALVO GALLEGO JAIME ADZ-IBERDROLA ZAMORA 1º EN LA CATEGORIA HOMBRE VETERANO (40-44 años) C-1 DEL XLII RAPHEL NACIONAL DEL TAJO DE VETERANOS Y II CAMPEONATO DE ESPAÑA DE RIOS Y TRAVESIAS DE VETERANOS CELEBRADO EN ARANJUEZ EL 21 DE JUNIO DEL 2014. CORRECHER GONZALEZ JORGE CLUB PIRAGÜISMO SILLA 2º EN LA CATEGORIA HOMBRE VETERANO (40-44 años) C-1 DEL XLII RAPHEL NACIONAL DEL TAJO DE VETERANOSY II CAMPEONATO DE ESPAÑA DE RIOS Y TRAVESIAS DE VETERANOS CELEBRADO EN ARANJUEZ EL 21 DE JUNIO DEL 2014. 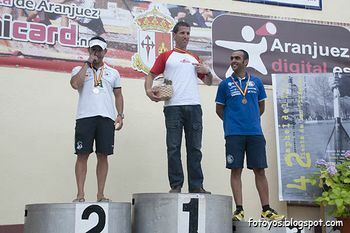 CARRASCAL REFOYO JOSE MARIA ADZ-IBERDROLA ZAMORA 3º EN LA CATEGORIA HOMBRE VETERANO (40-44 años) C-1 DEL XLII RAPHEL NACIONAL DEL TAJO DE VETERANOS Y II CAMPEONATO DE ESPAÑA DE RIOS Y TRAVESIAS DE VETERANOS CELEBRADO EN ARANJUEZ EL 21 DE JUNIO DEL 2014. 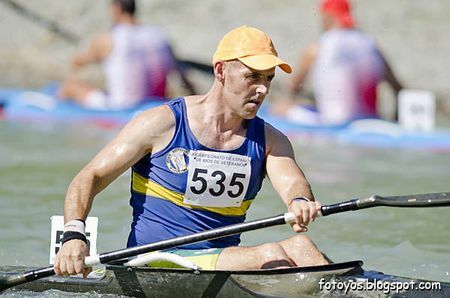 JORGE AMBRONA MARTINEZ ENTRENADOR DEL CLUB ESCUELA PIRAGÜISMO ARANJUEZ SUBCAMPEON DEL XLII RAPHEL NACIONAL DEL TAJO DE VETERANOS Y II CAMPEONATO DE ESPAÑA DE RIOS Y TRAVESIAS DE VETERANOS CELEBRADO EN ARANJUEZ EL 21 DE JUNIO DEL 2014. 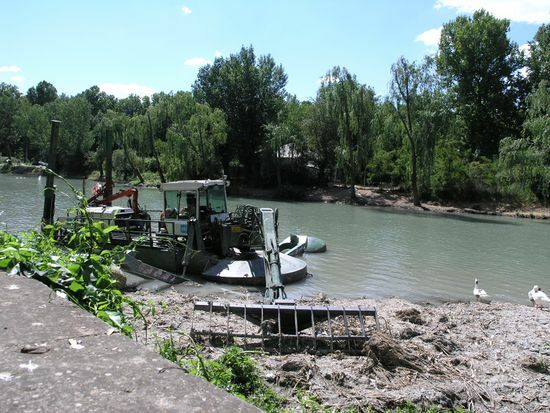 LES ACOMPAÑAN LA CONCEJALA DEL AYUNTAMIENTO DE ARANJUEZ Dª CRISTINA MORENO MORENO, EL PRESIDENTE DEL CLUB ESCUELA DE PIRAGÜISMO DE ARANJUEZ FRANCISCO JAVIER RODRIGUEZ ROMERO Y EL CONCEJAL DEL AYUNTAMIENTO DE ARANJUEZ D. JORGE LOPEZ BOULLOSA. EN HOMENAJE AL AUTOR DEL BLOG FOTOYOS  DEL QUE HEMOS RECOGIDO LA MAYORIA DE LAS FOTOGRAFIAS DE ESTA MEMORIA "GRACIAS." 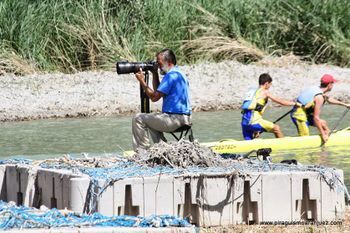 Maquinaria utilizada en la limpieza de los márgenes del río que se puede apreciar en las fotos de la prueba.